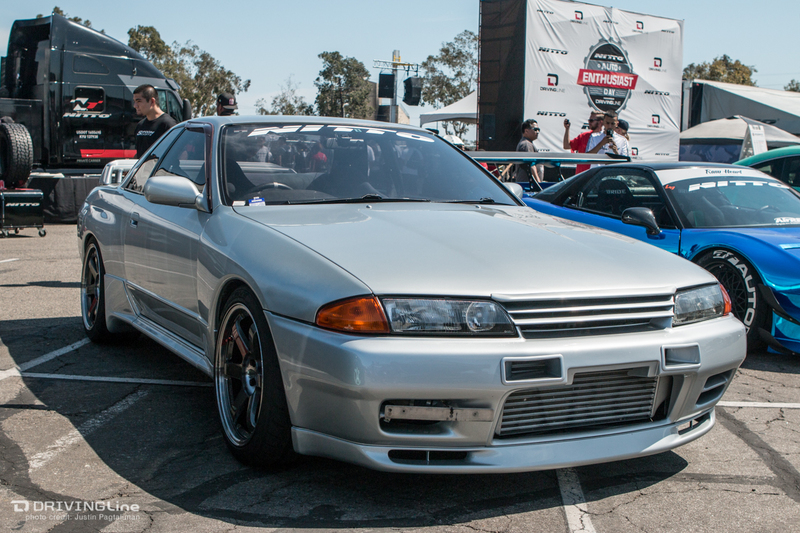 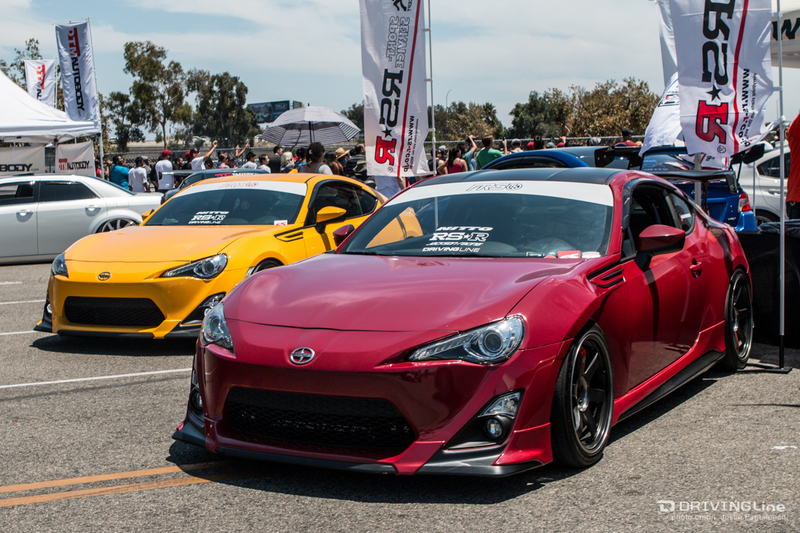 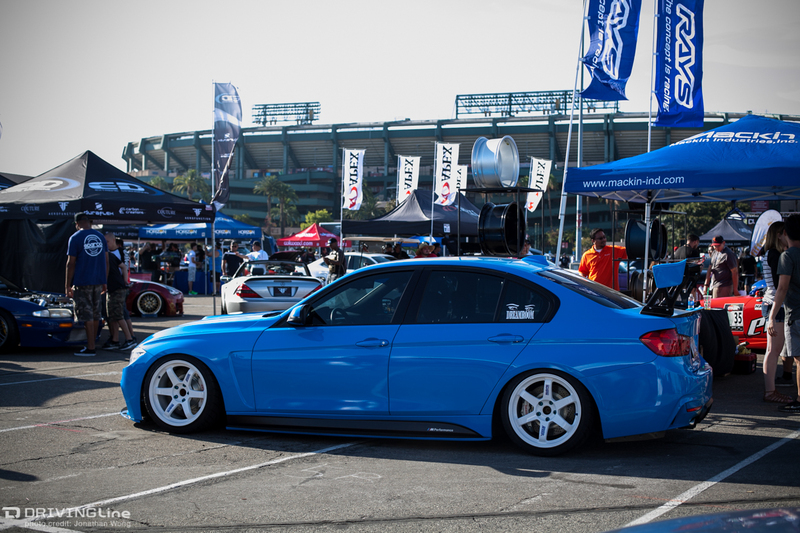 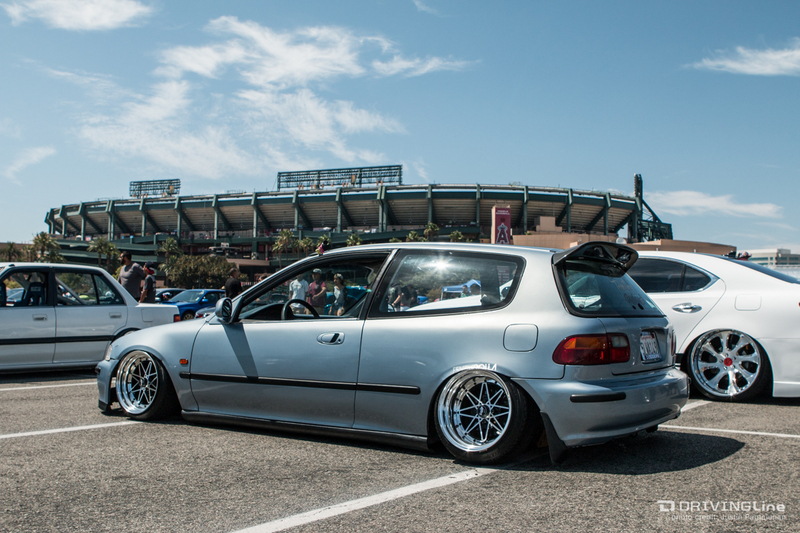 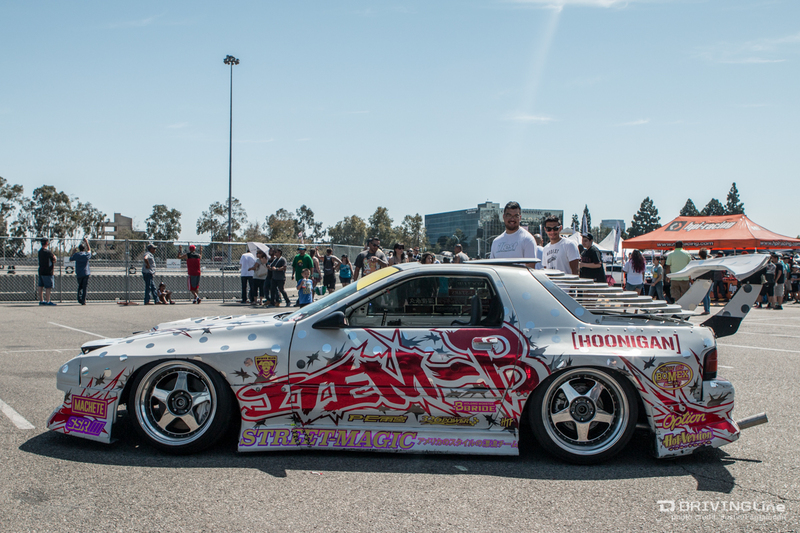 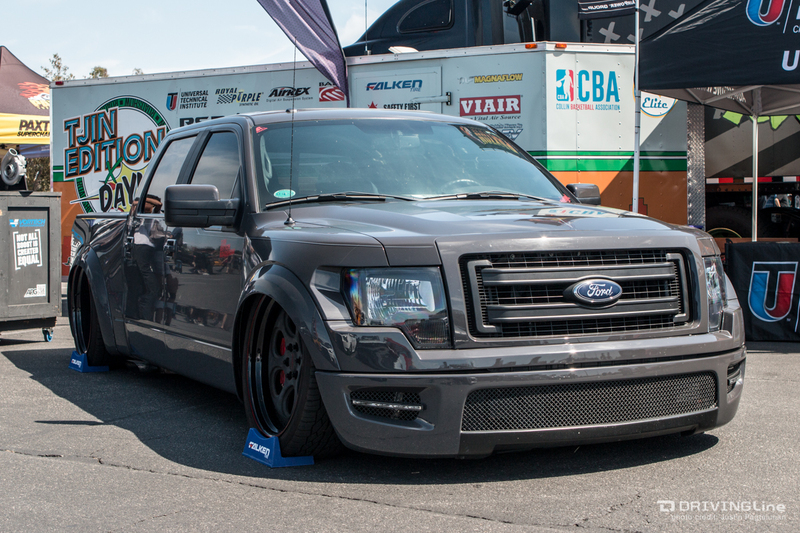 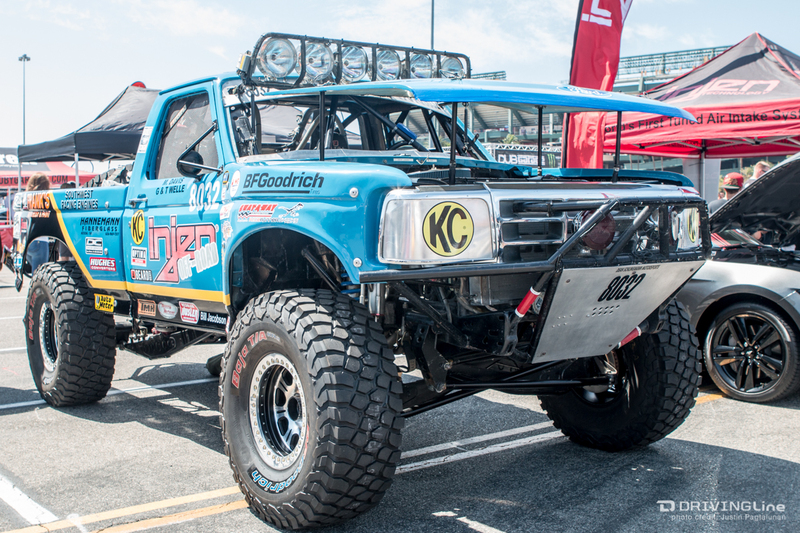 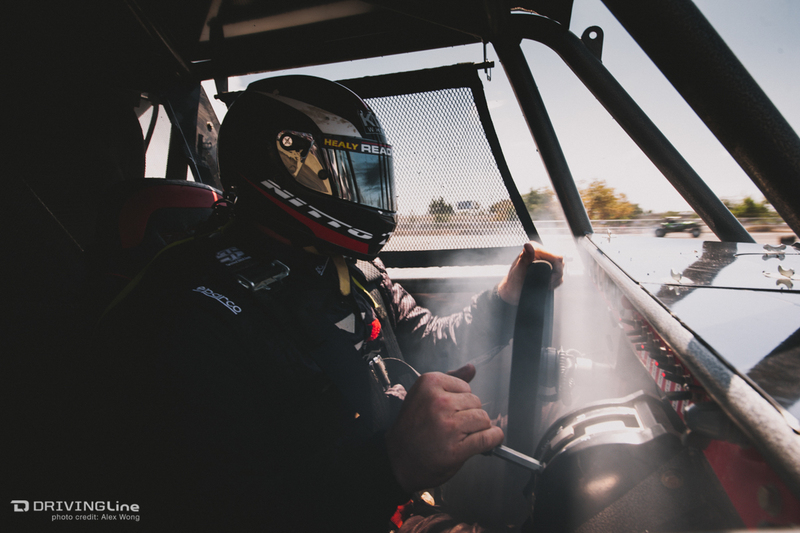 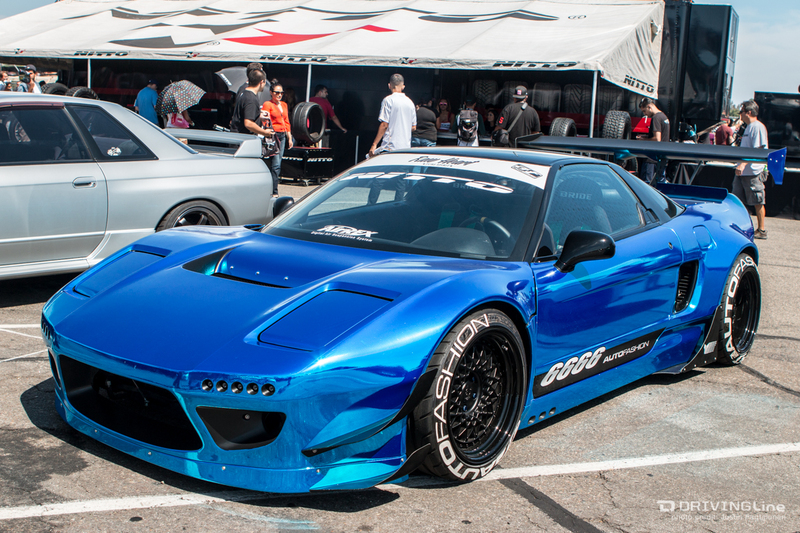 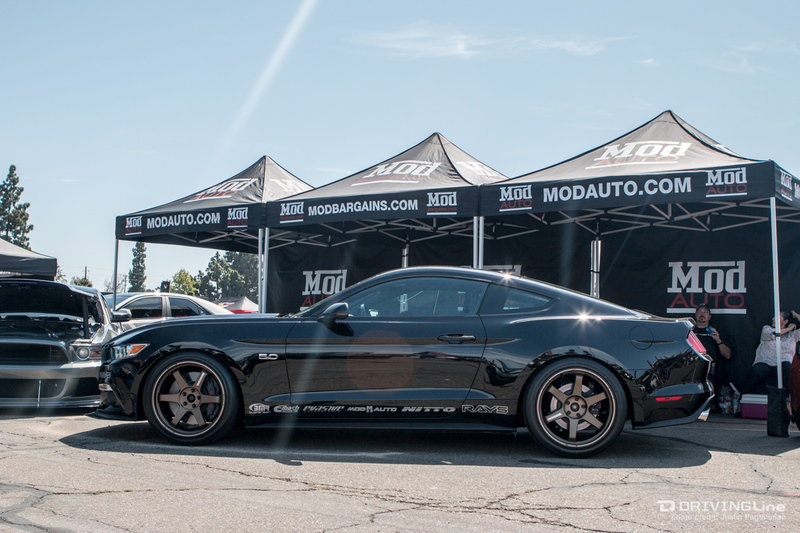 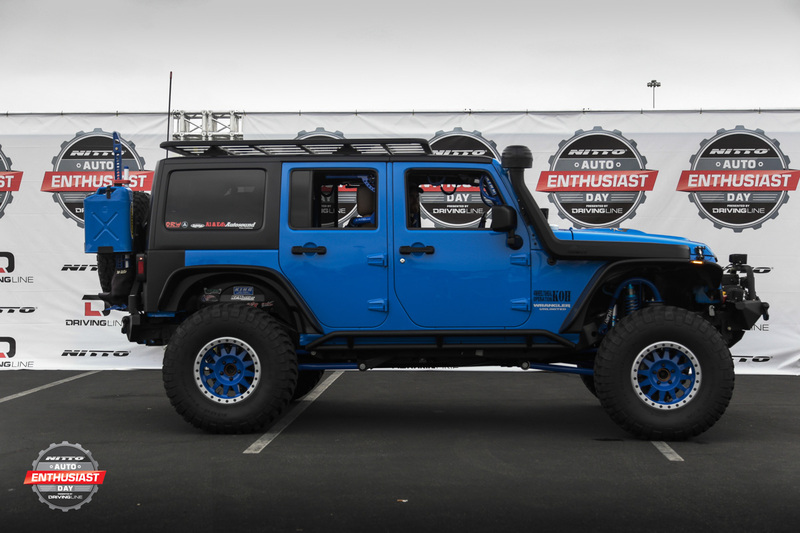 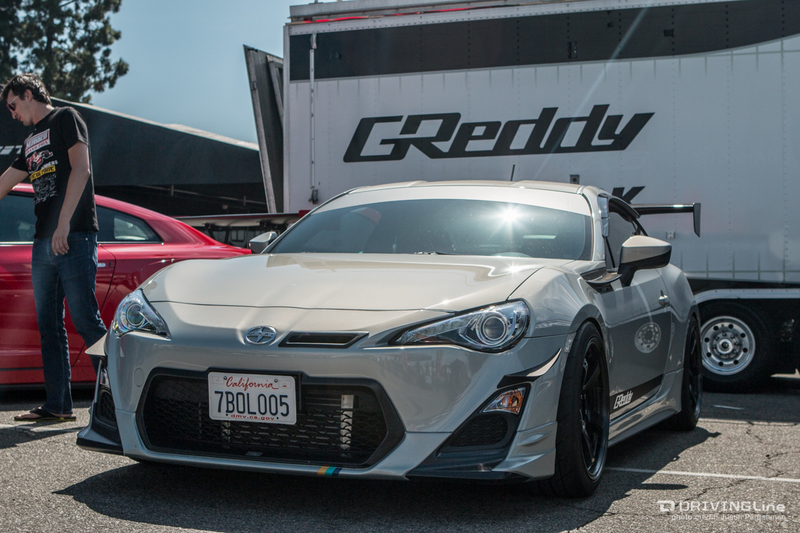 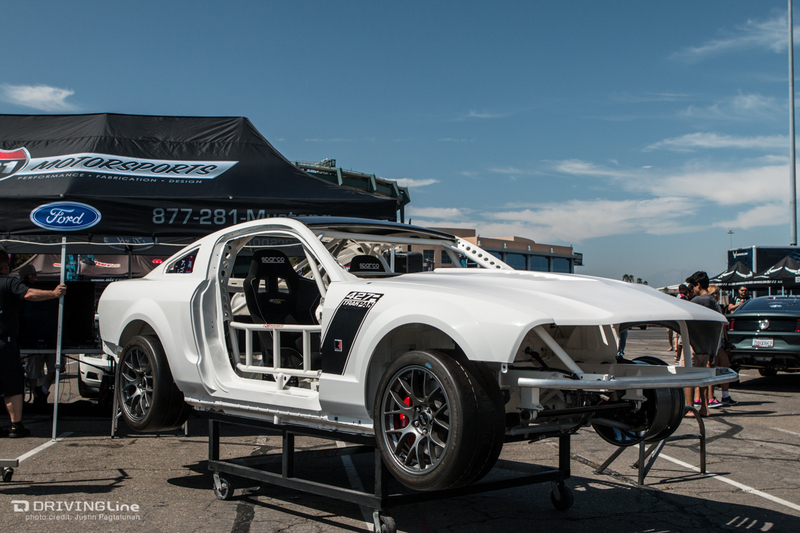 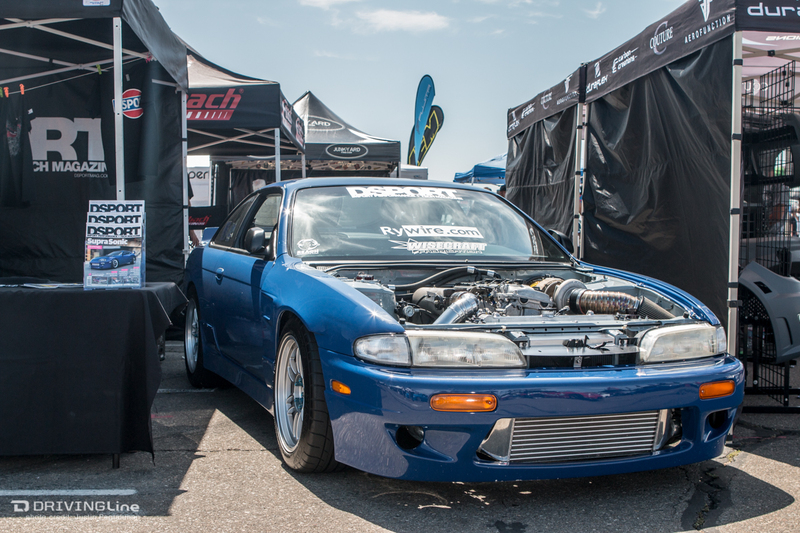 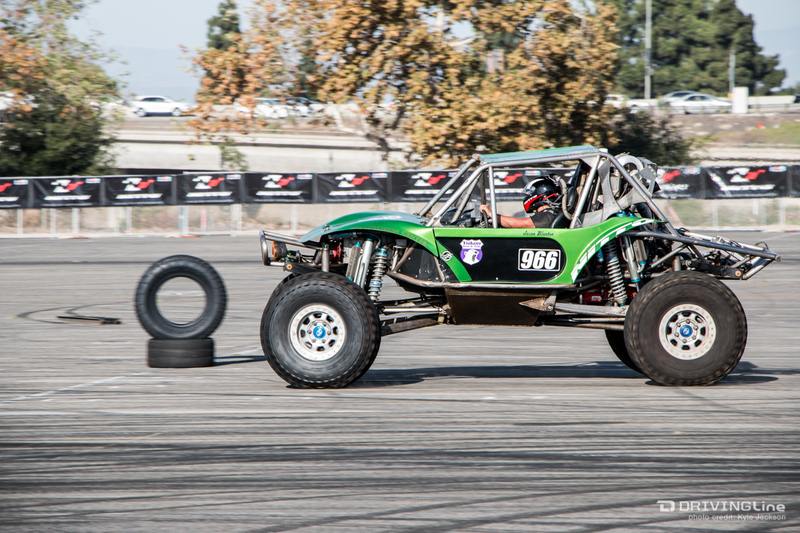 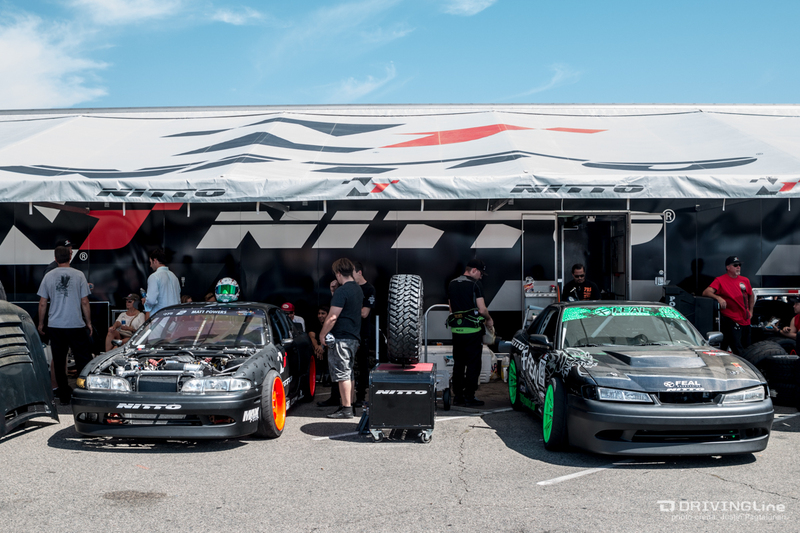 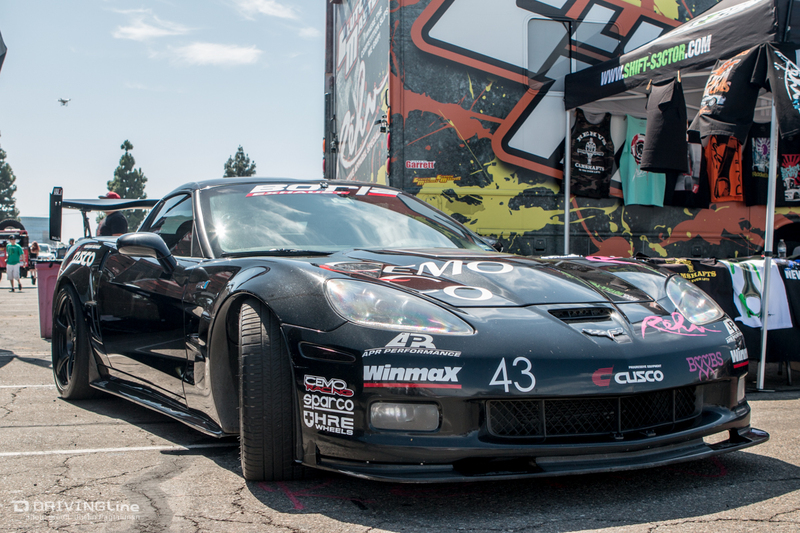 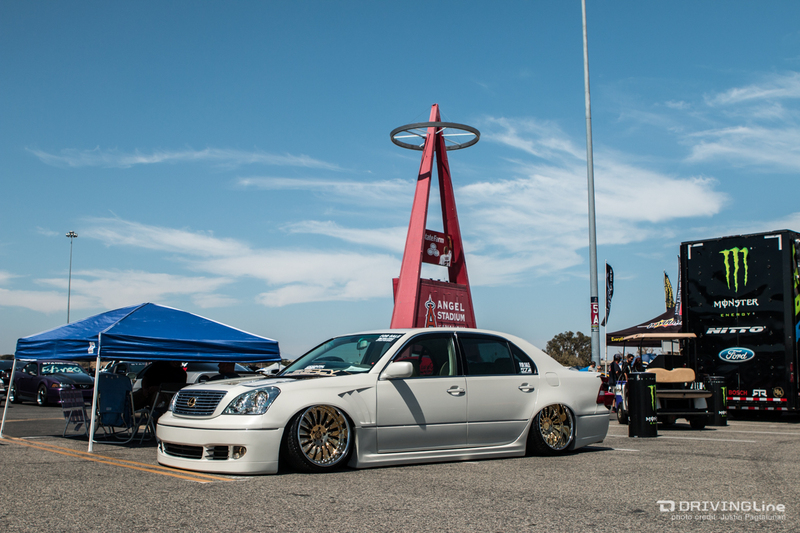 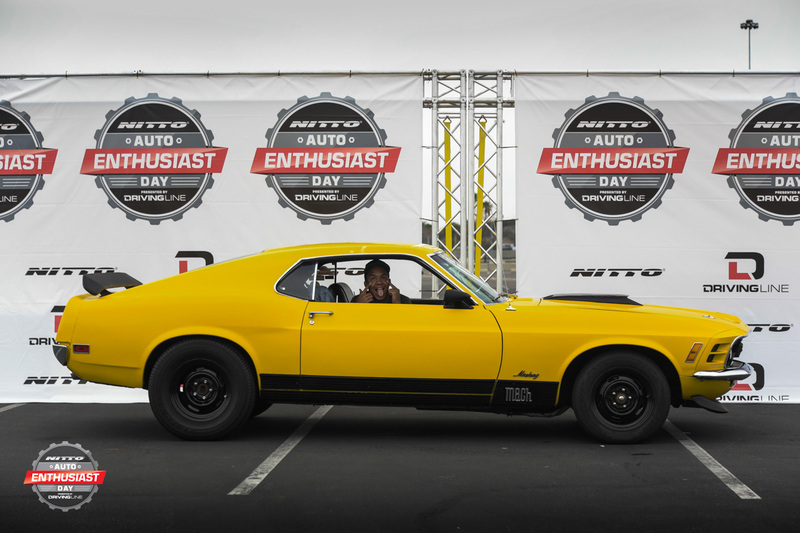 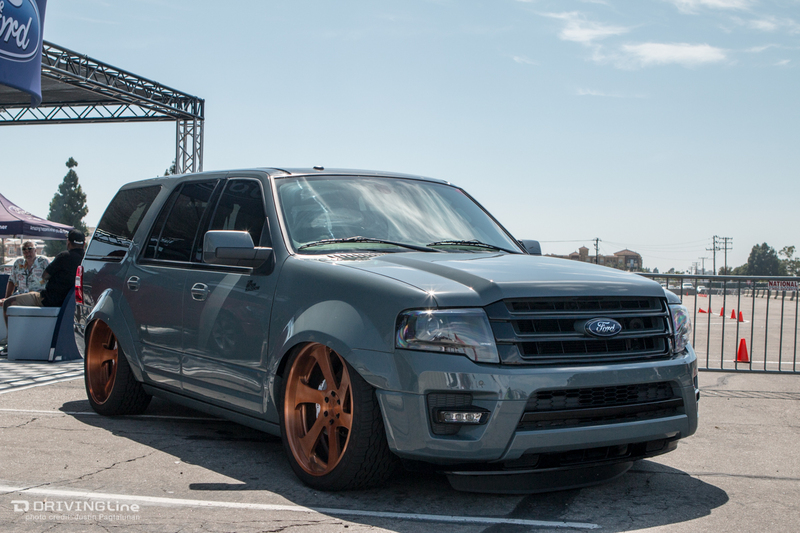 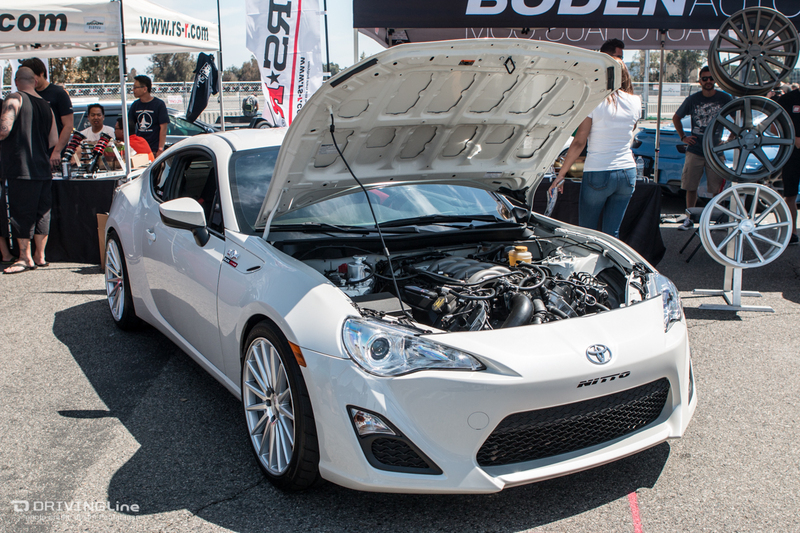 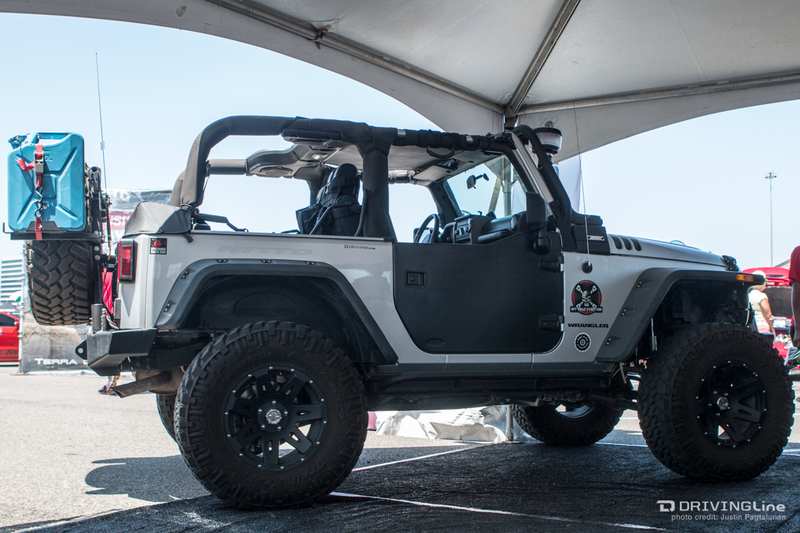 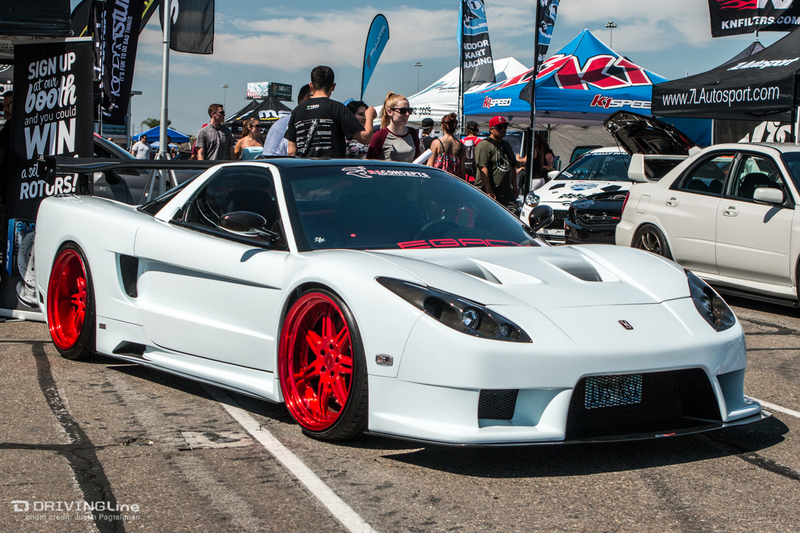 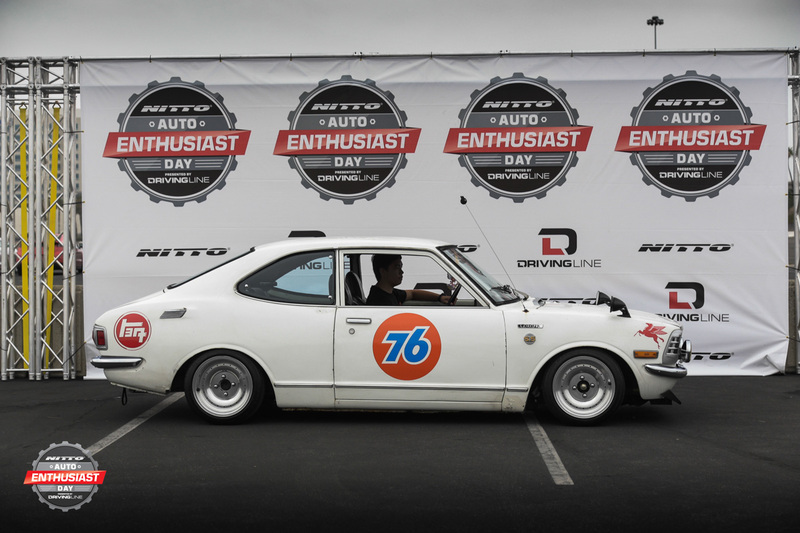 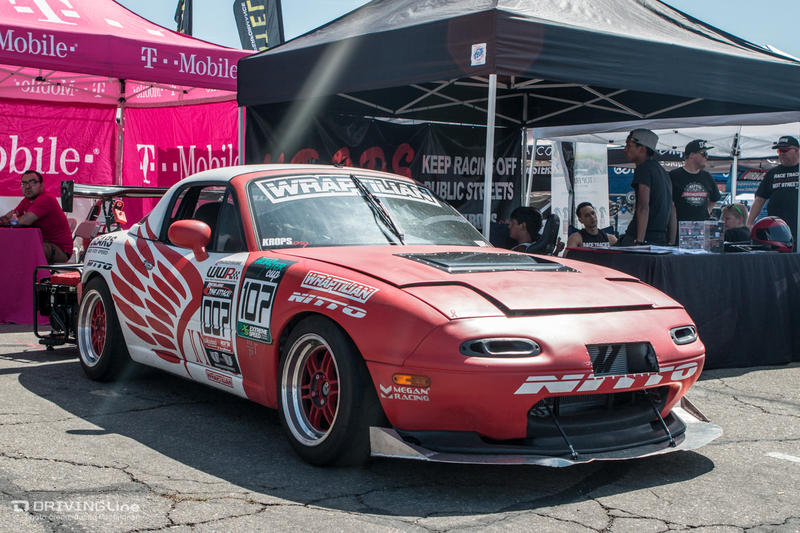 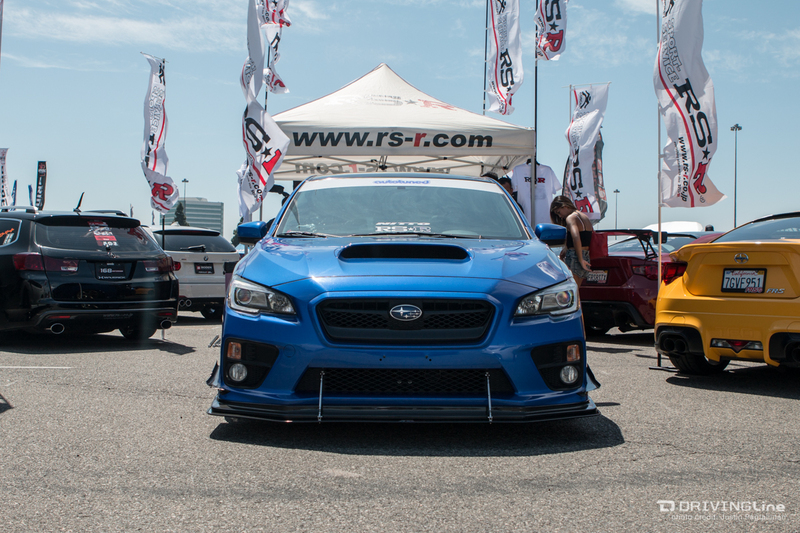 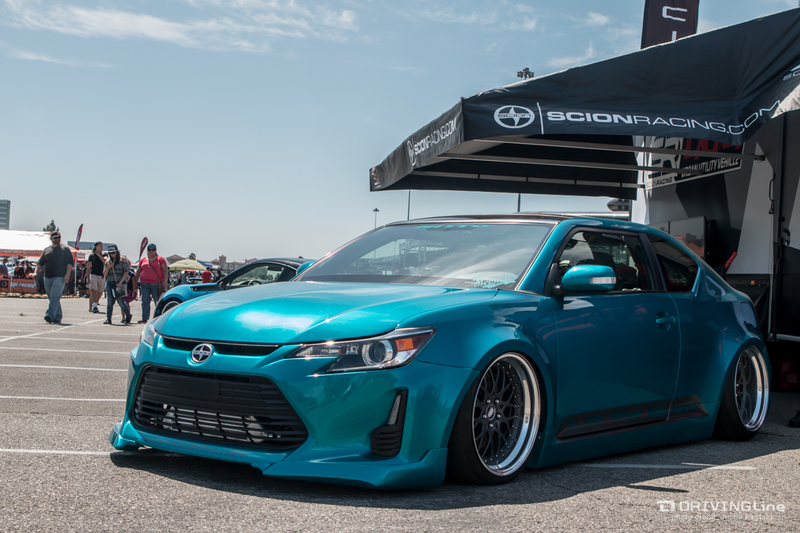 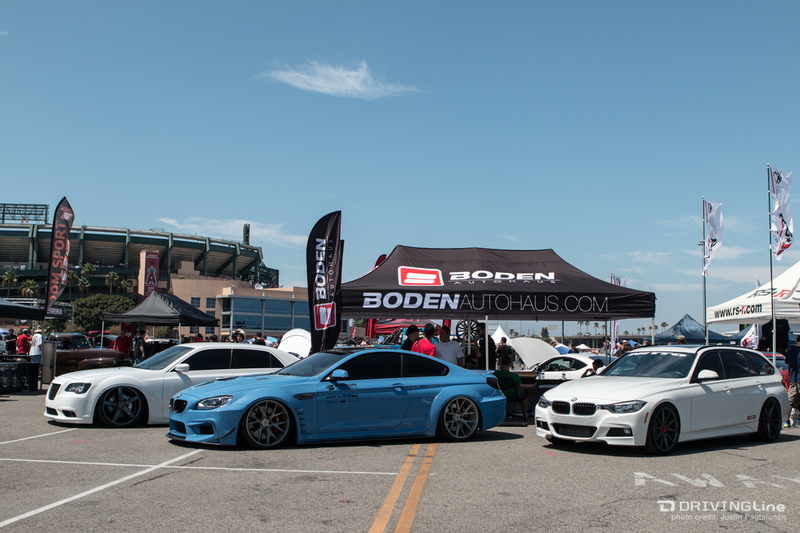 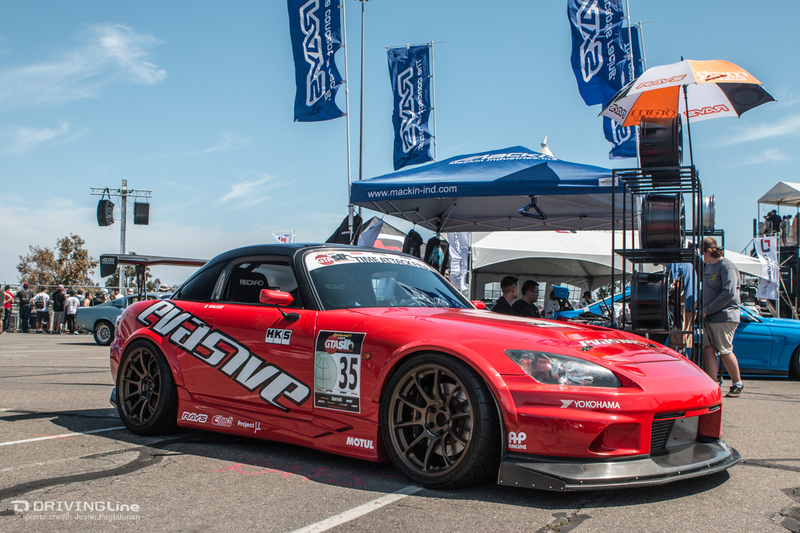 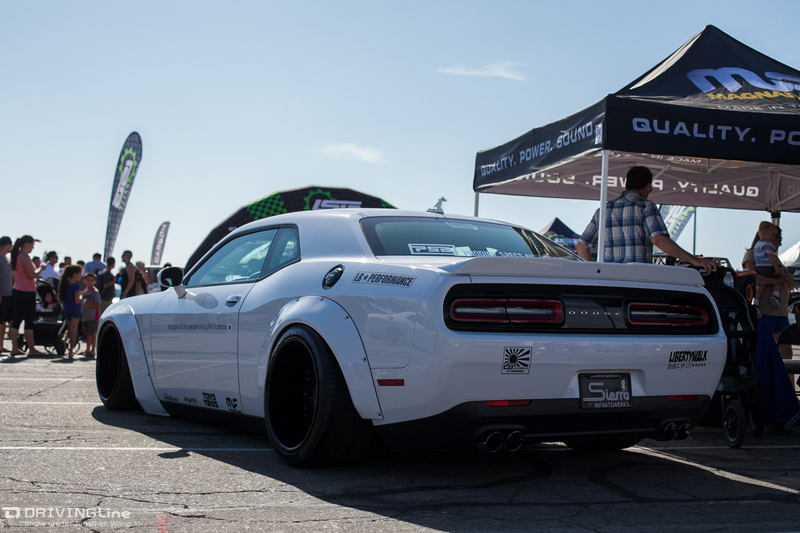 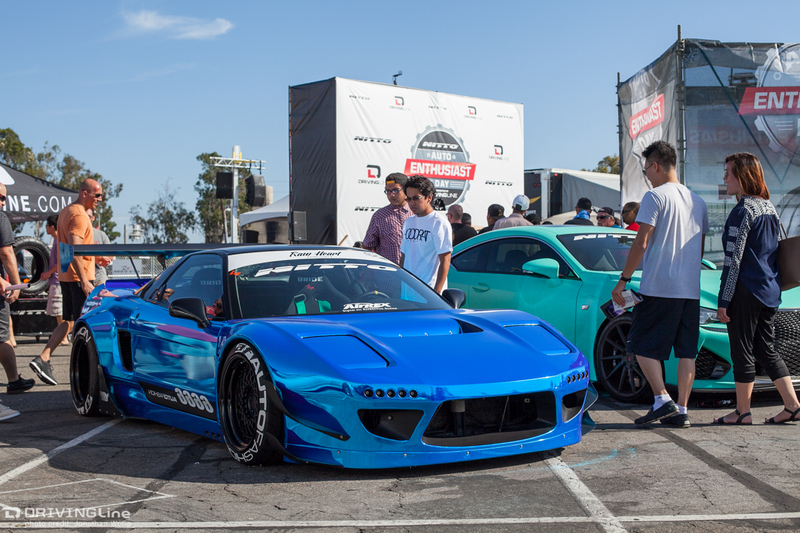 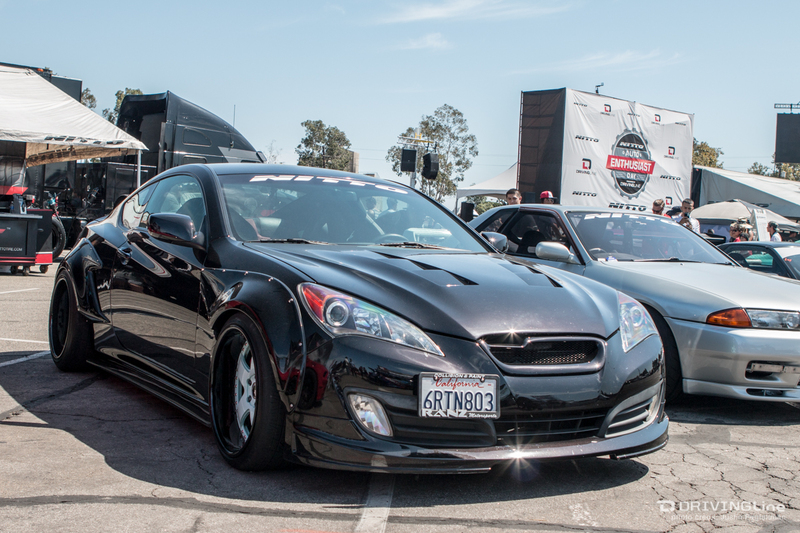 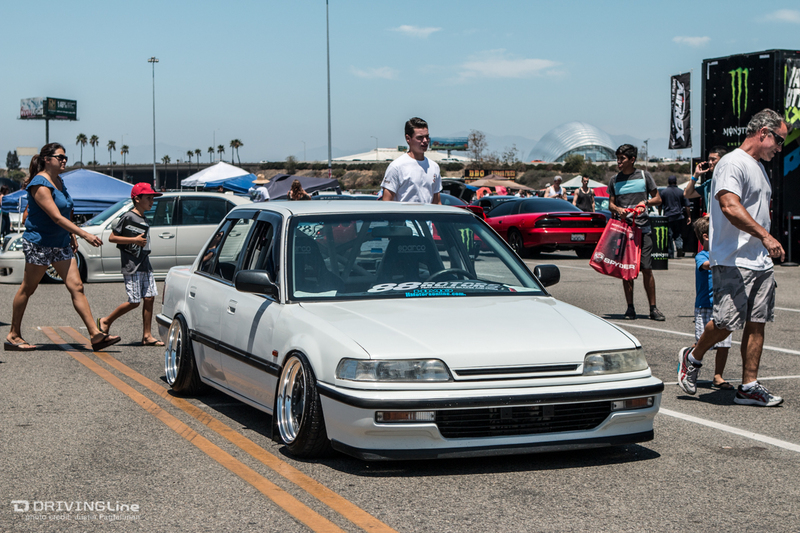 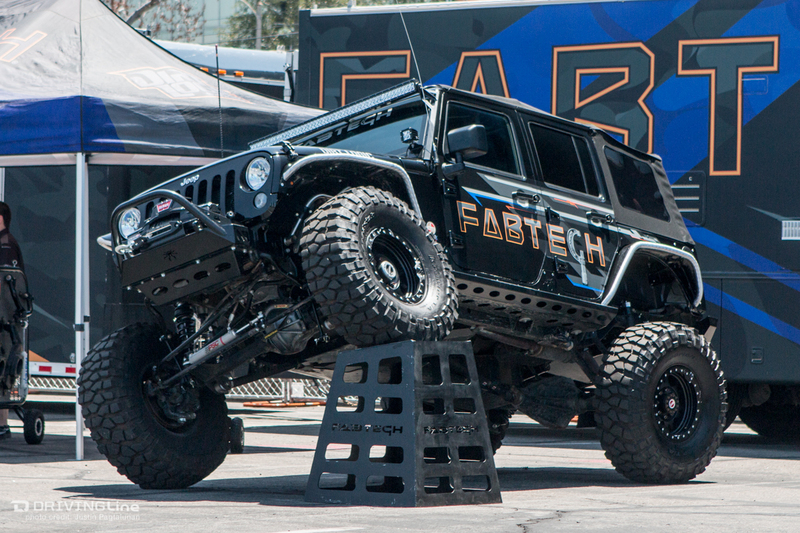 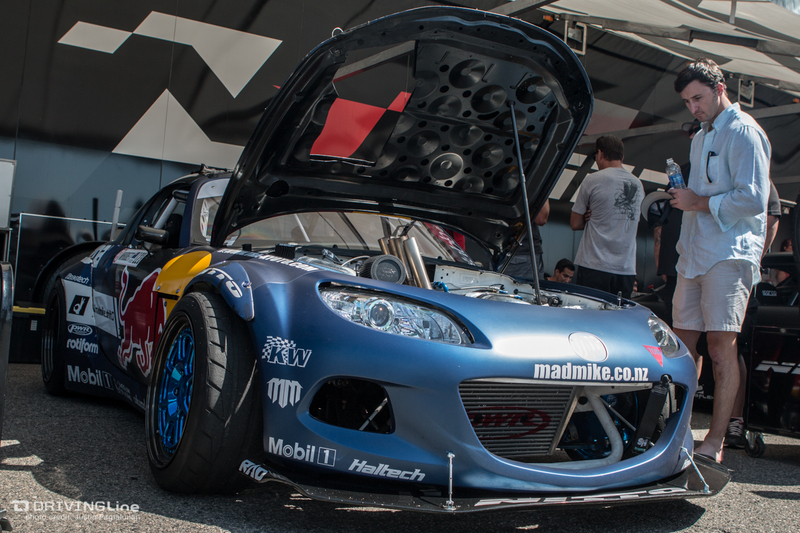 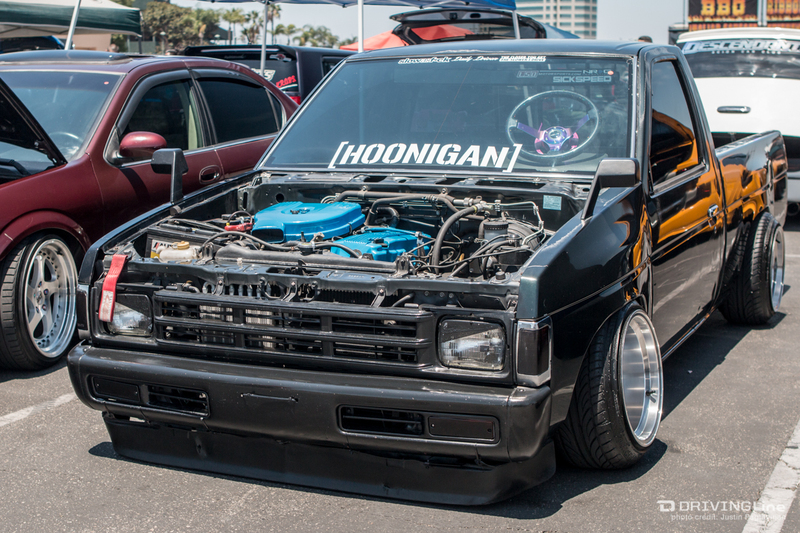 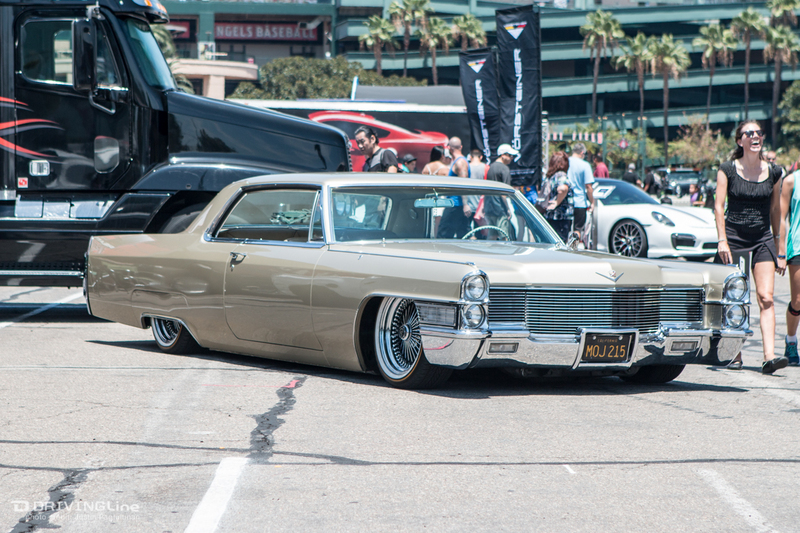 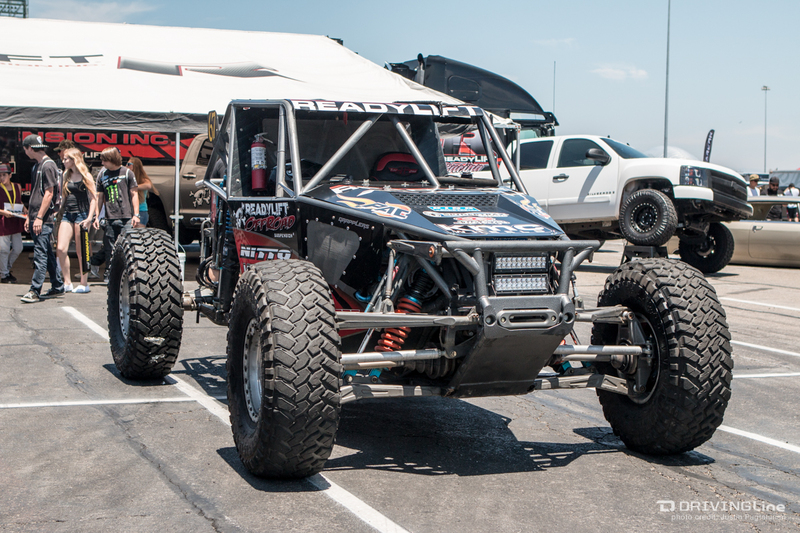 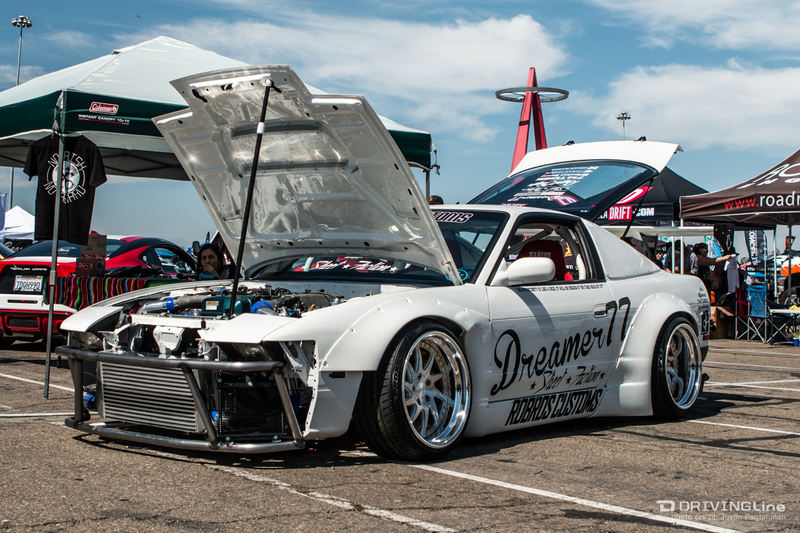 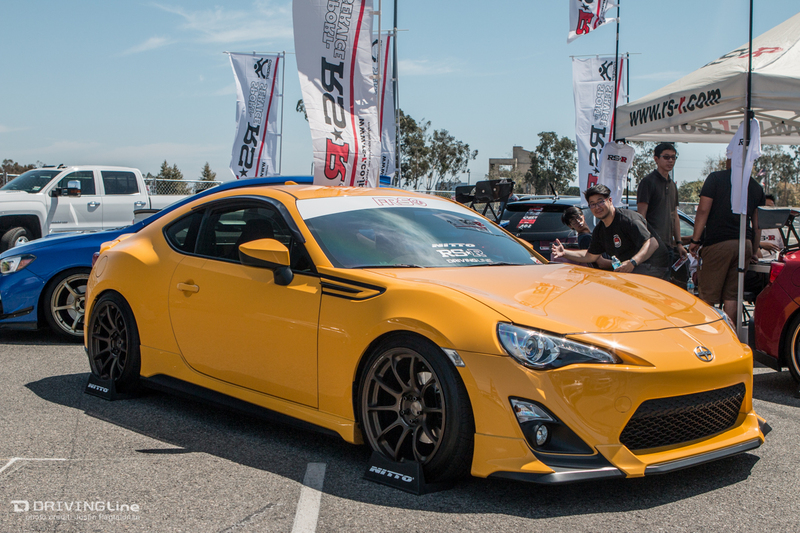 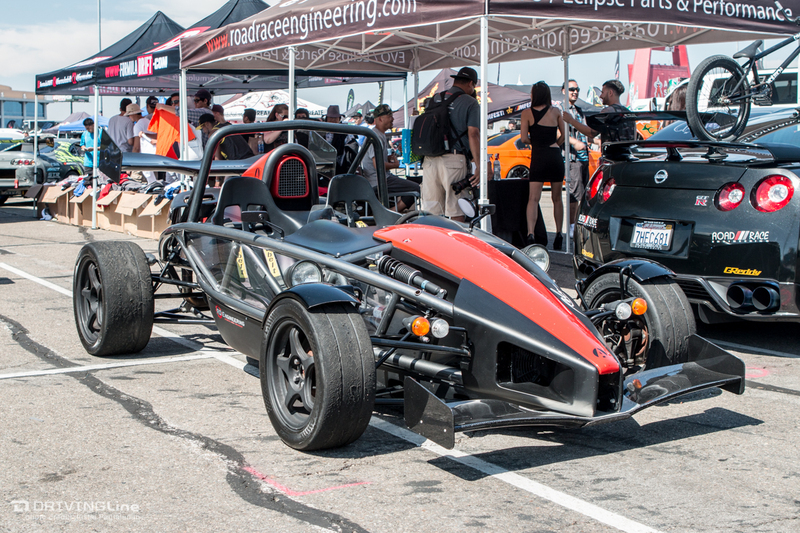 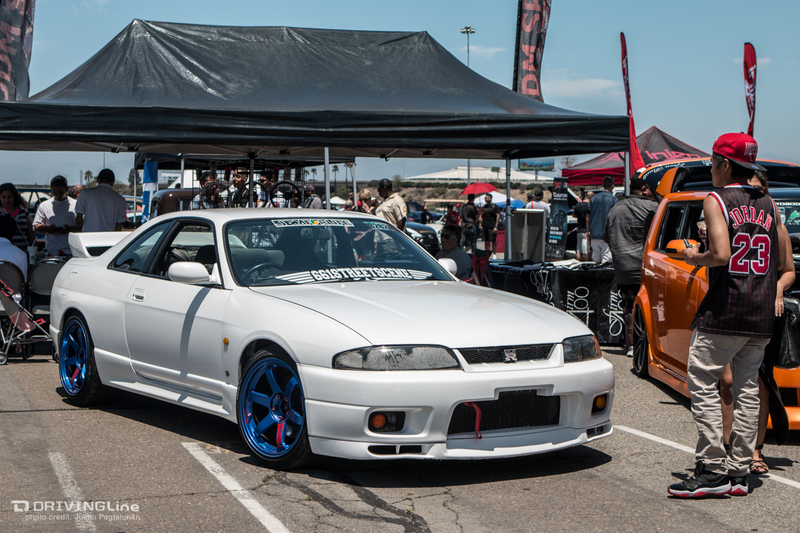 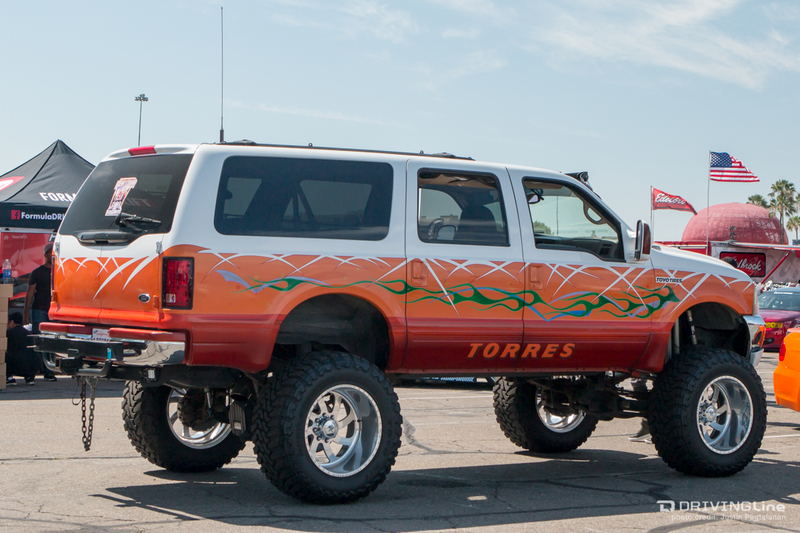 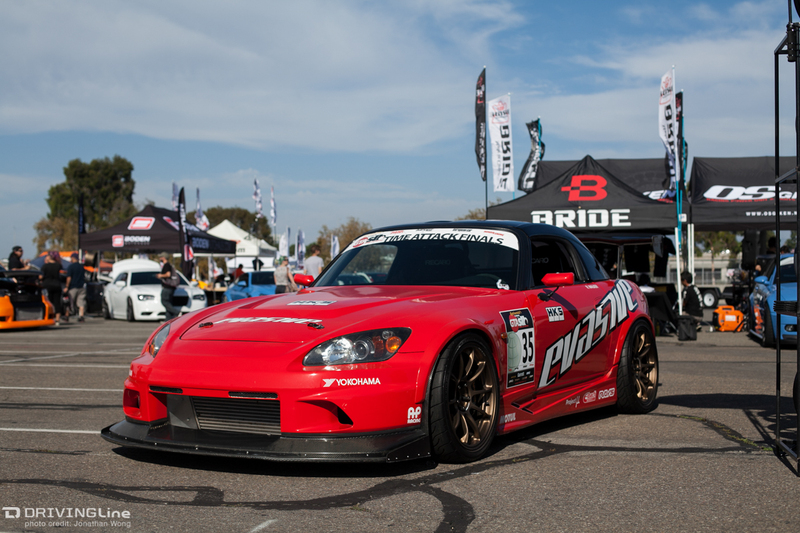 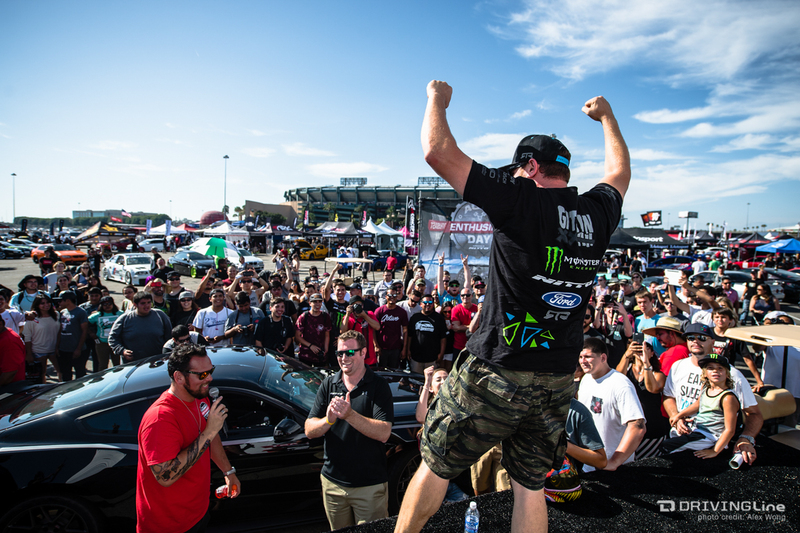 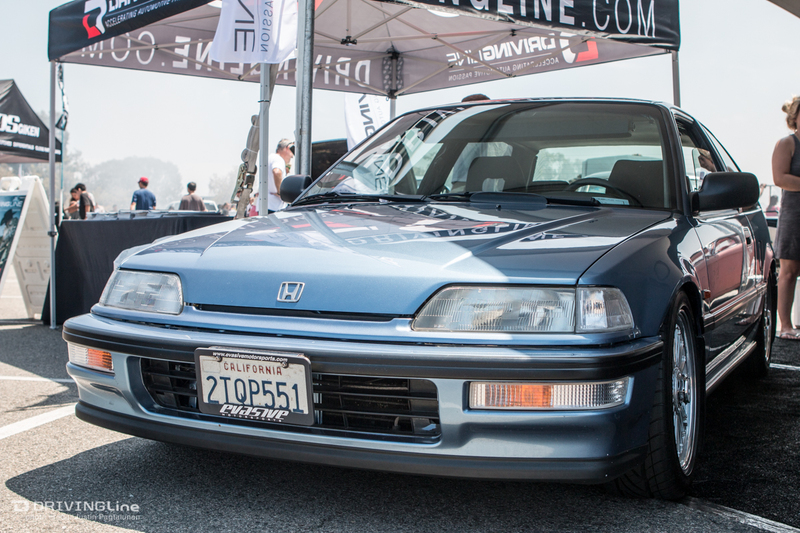 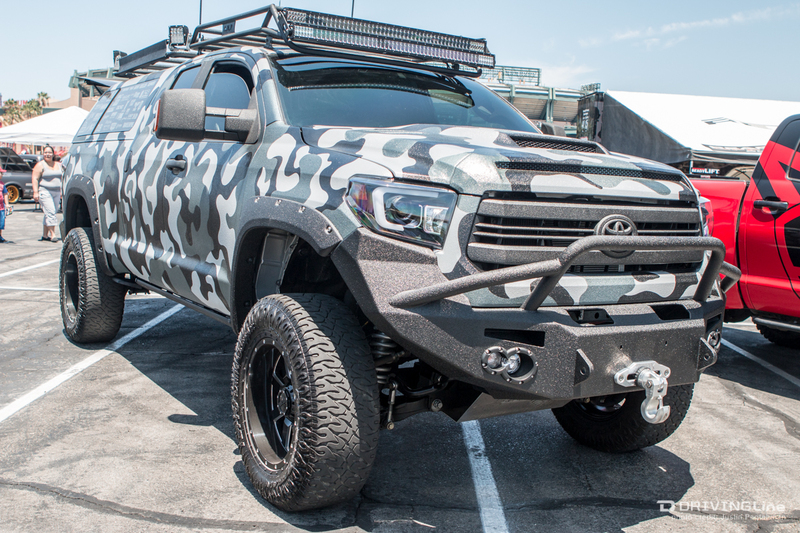 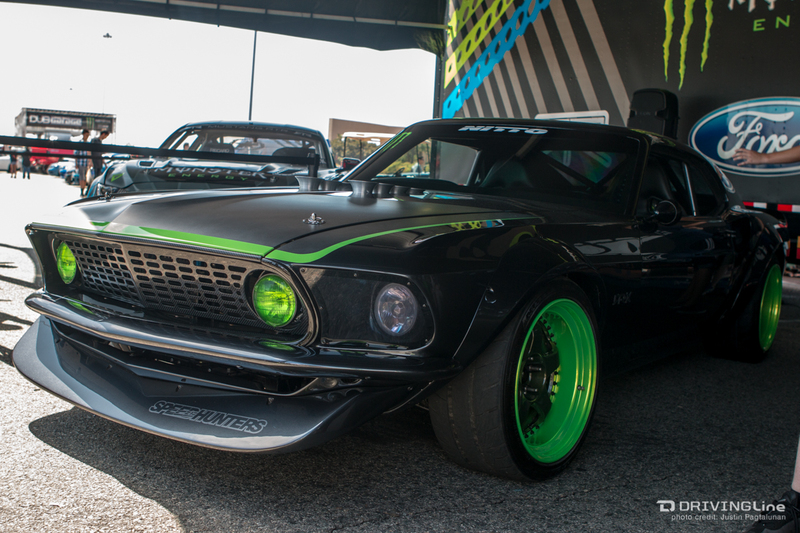 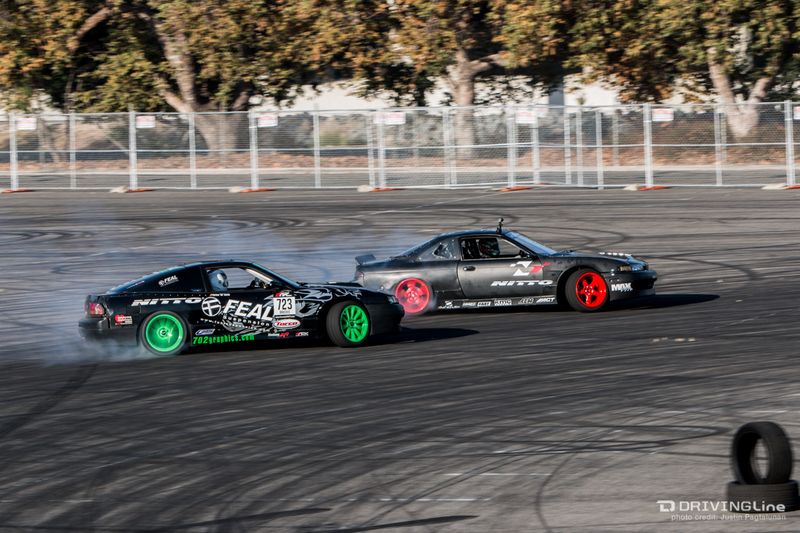 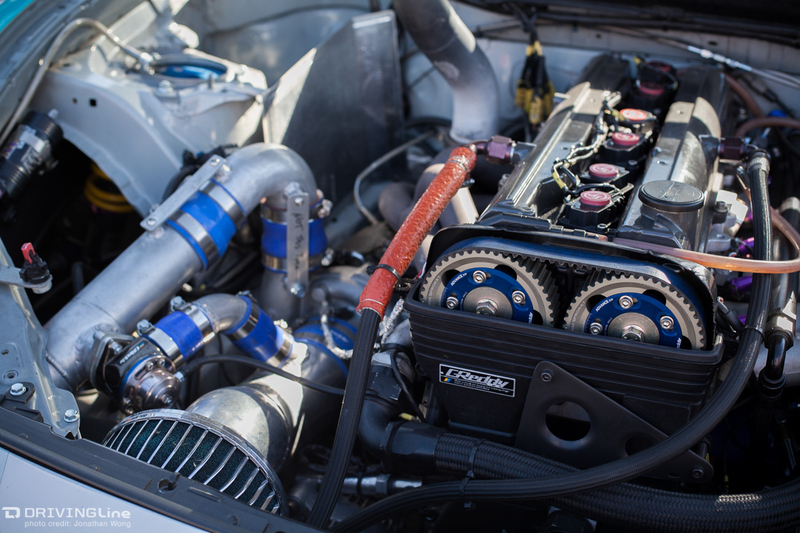 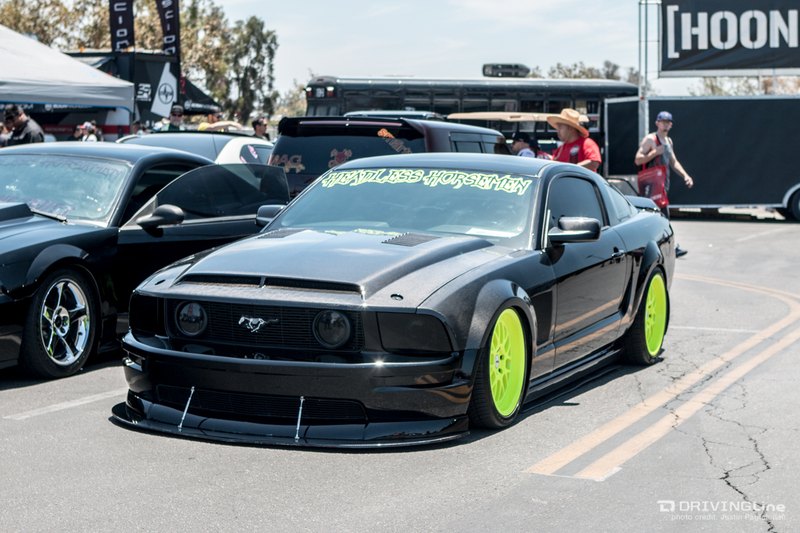 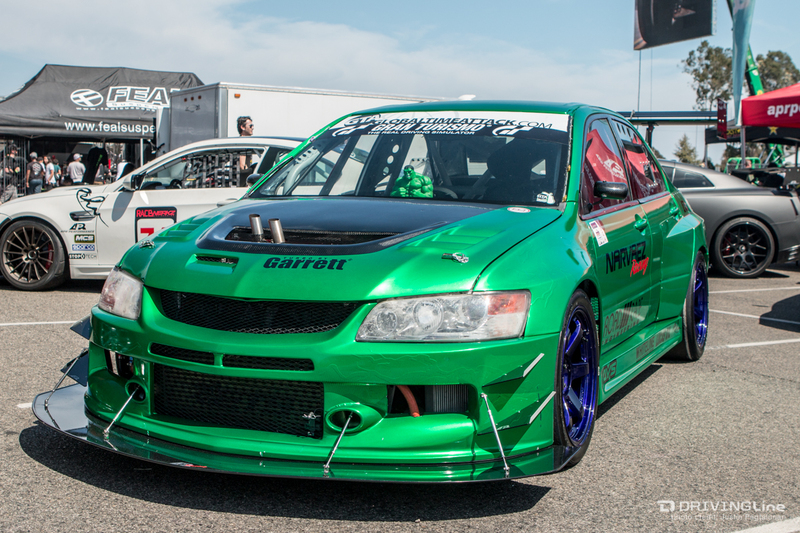 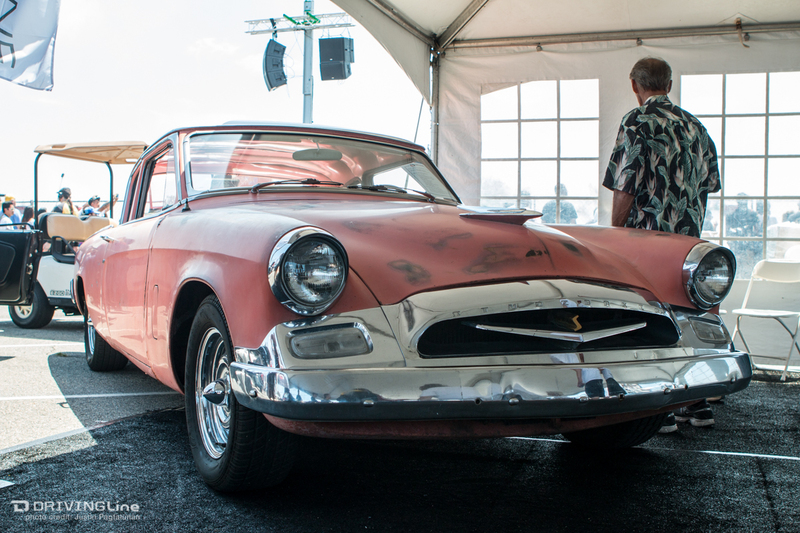 NITTO Tire's Auto Enthusiast Day 2015 presented by Driving Line didn't just knock it out of the park, the fourth installment of this event was a grand slam! 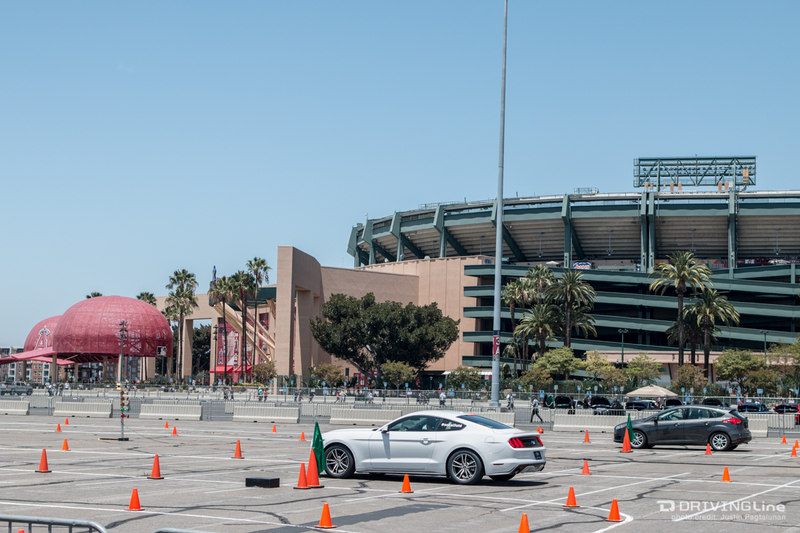 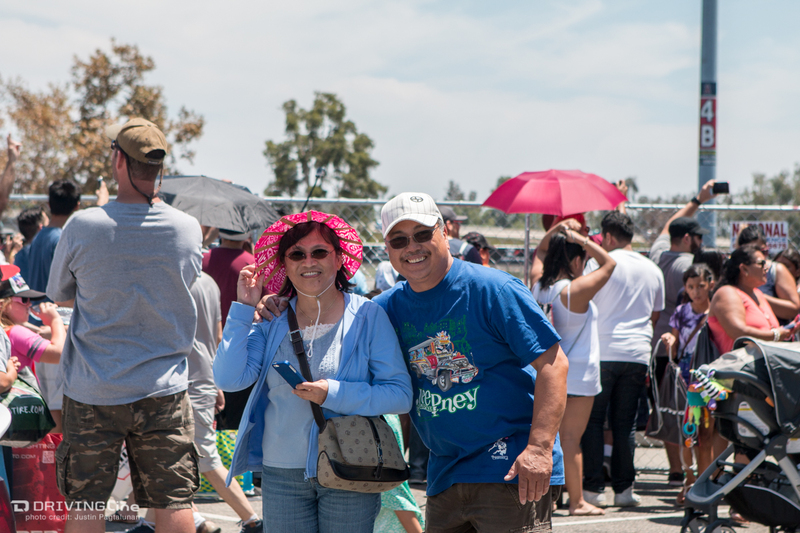 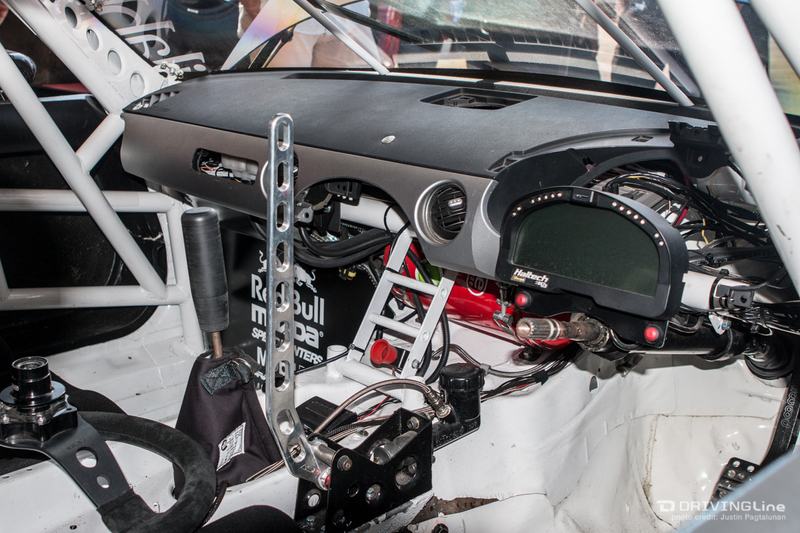 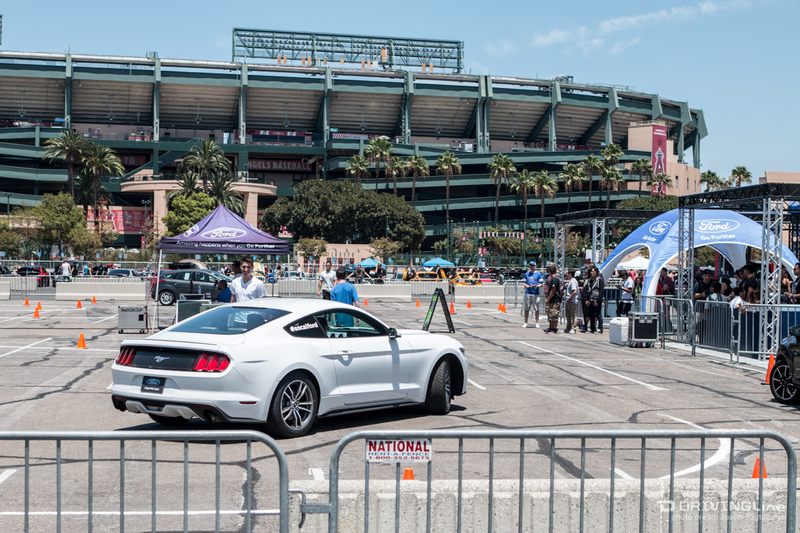 Over 12,500 people put away their Rally Monkeys and Dodger Dogs to set aside their differences and come together to enjoy a full day of automotive enthusiasm. 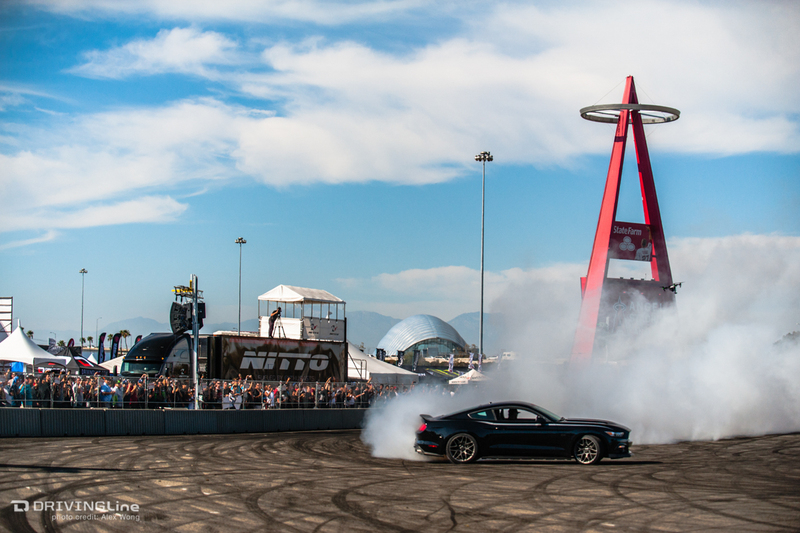 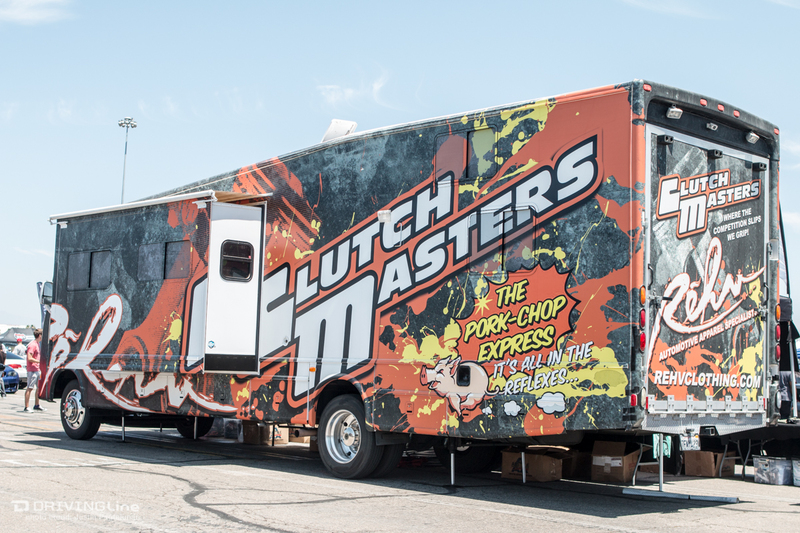 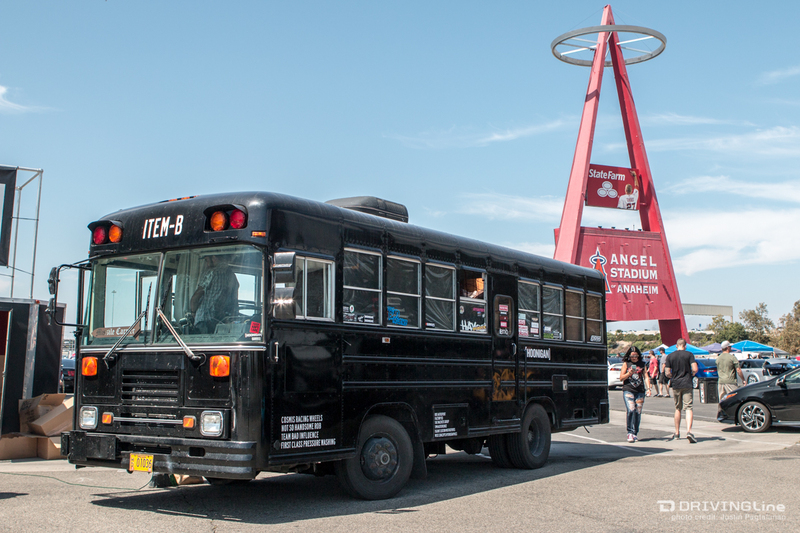 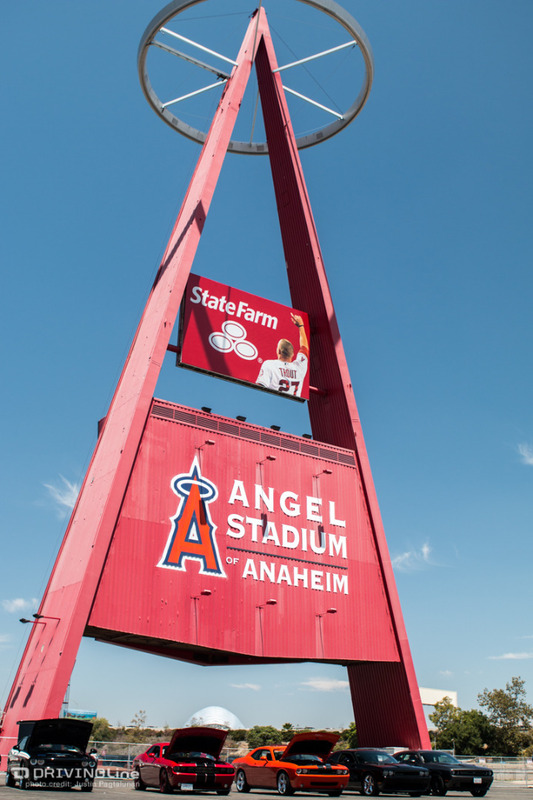 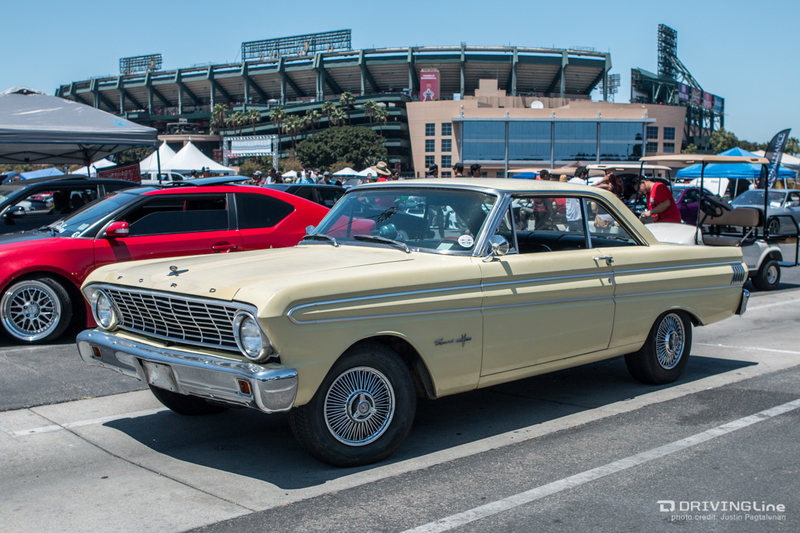 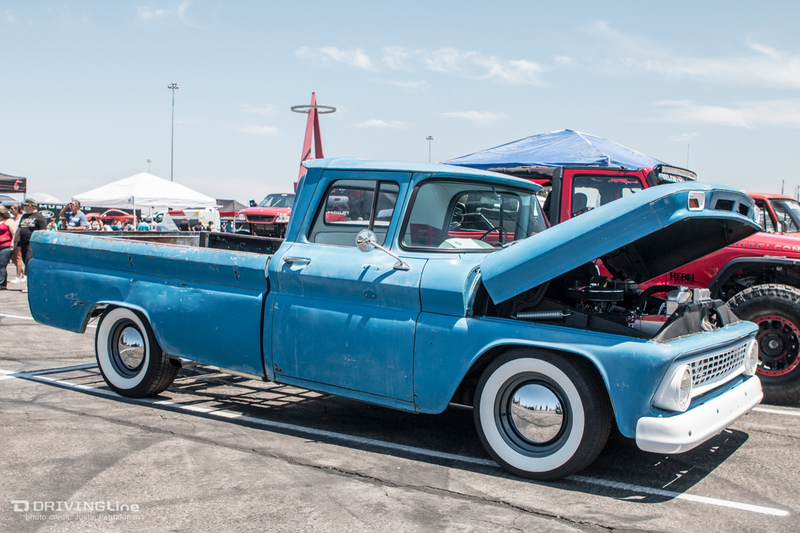 If you love anything with wheels on it, you had to be at the place to be - Angel Stadium of Anaheim - especially since it was a FREE event! 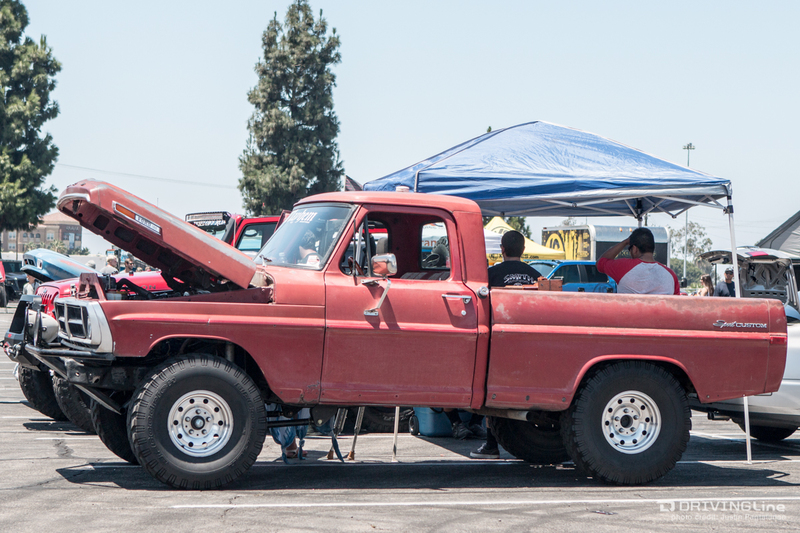 Imports, domestics, classics, trucks, 4x4 buggies and even a bus; we had one, we had all. 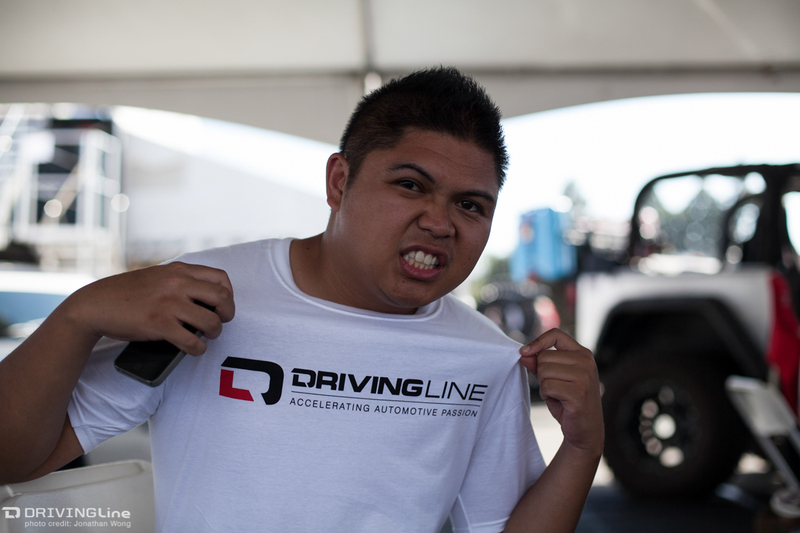 Pinch hit to the Driving Demos or the Car Show. 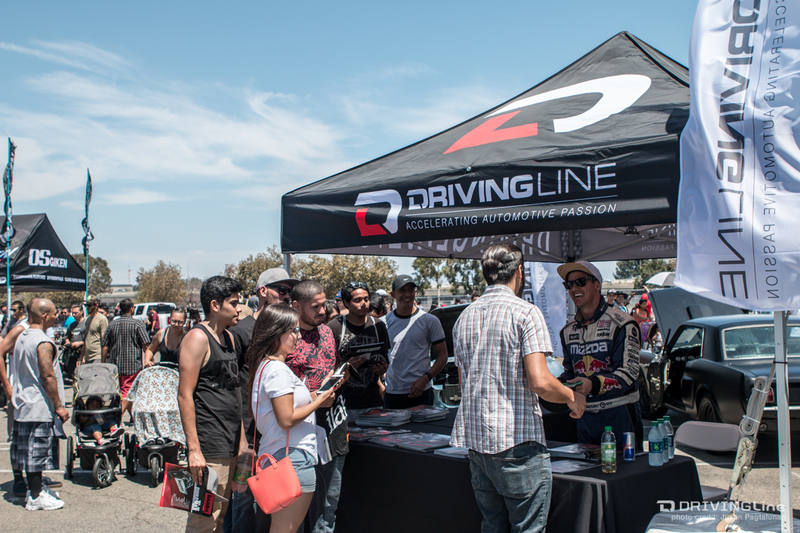 Not surprisingly, the Driving Line tent was packed with people all day long. 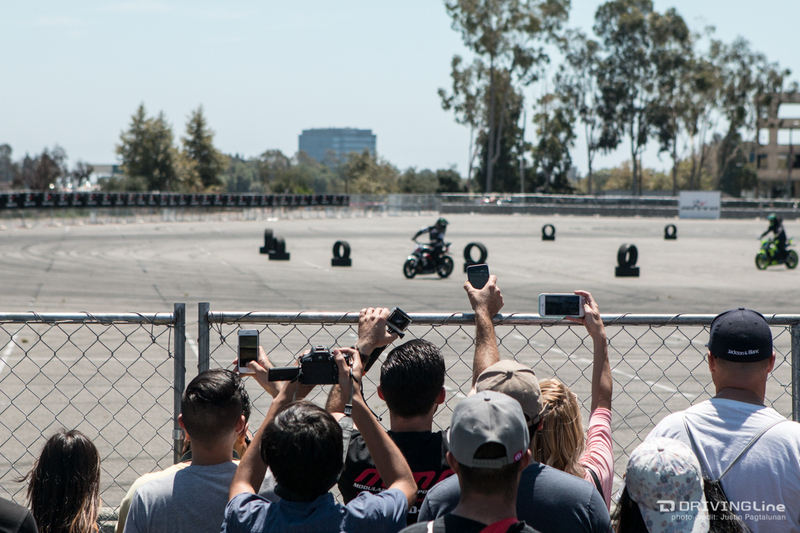 It was our first major outing as a content team at any event, so saying we were a little overwhelmed would be an understatement. 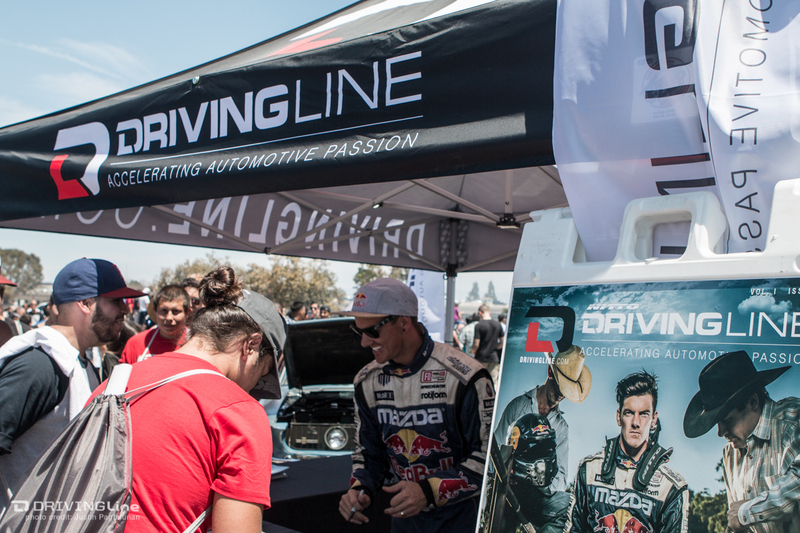 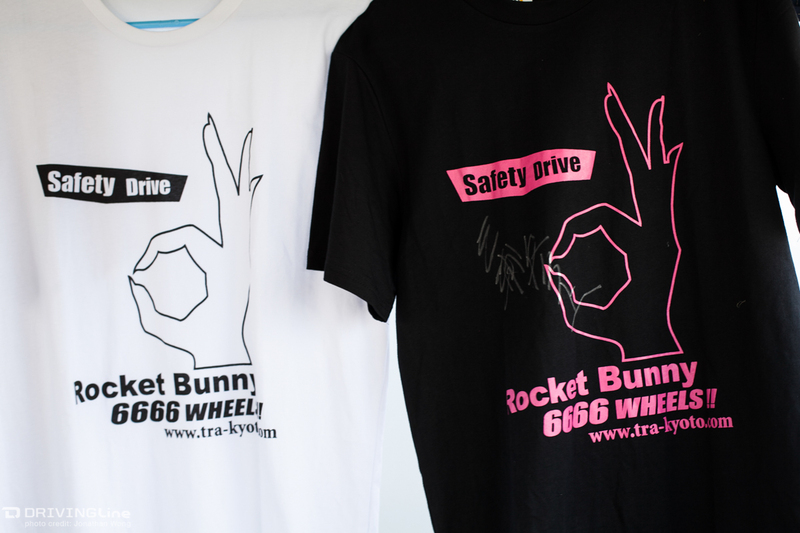 Luckily we had some of our Driving Line contributors there to help with handing out goodie bags, stickers, magazines and raffle tickets. 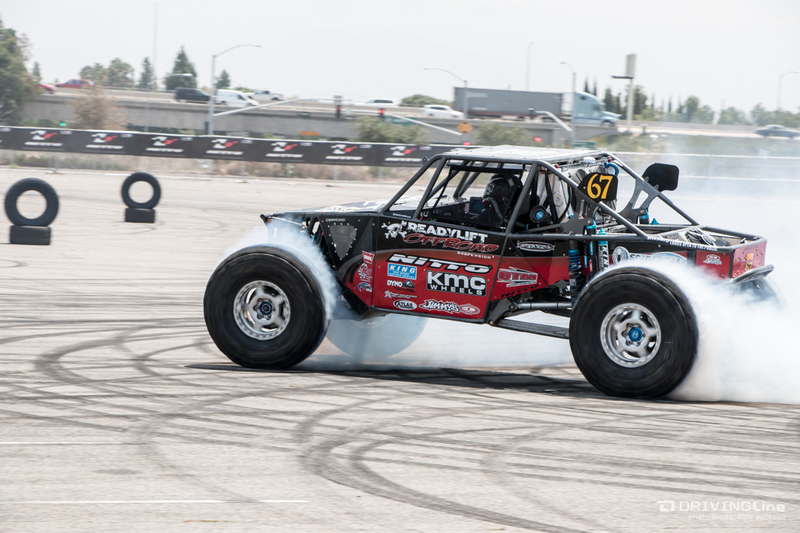 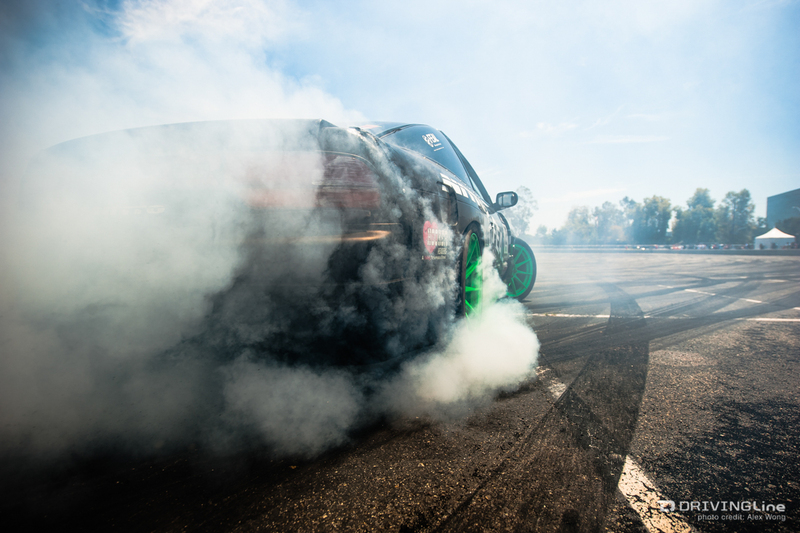 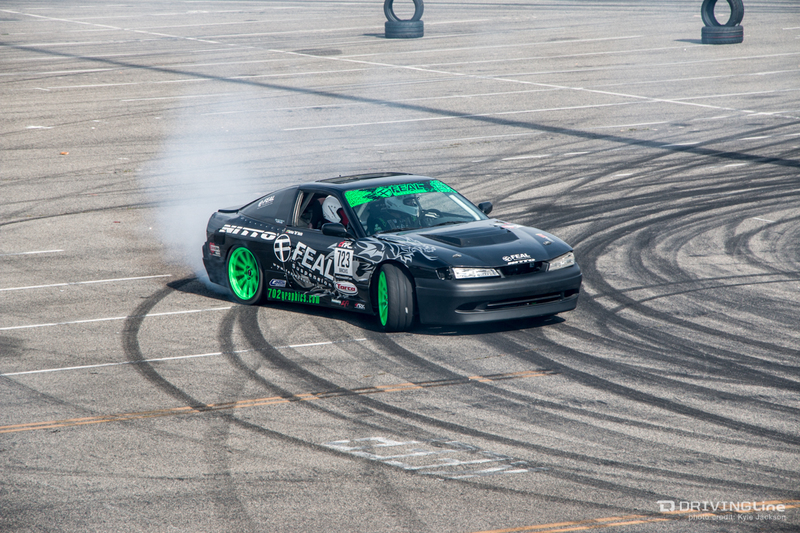 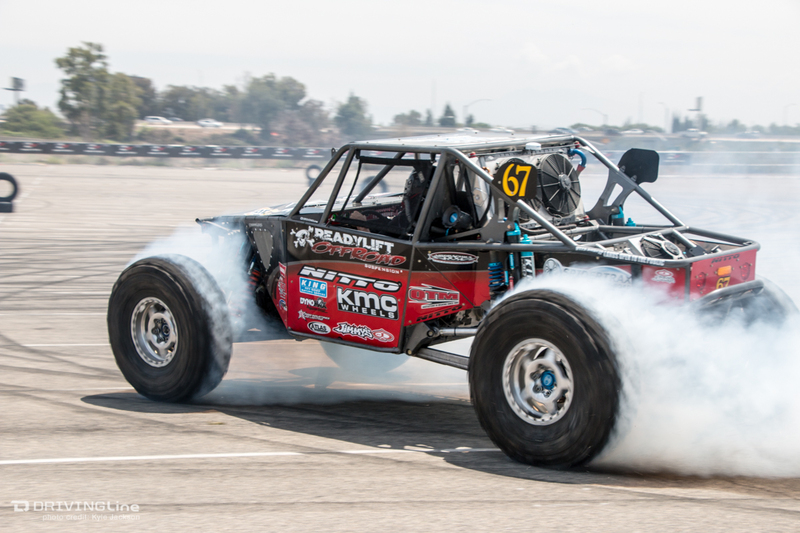 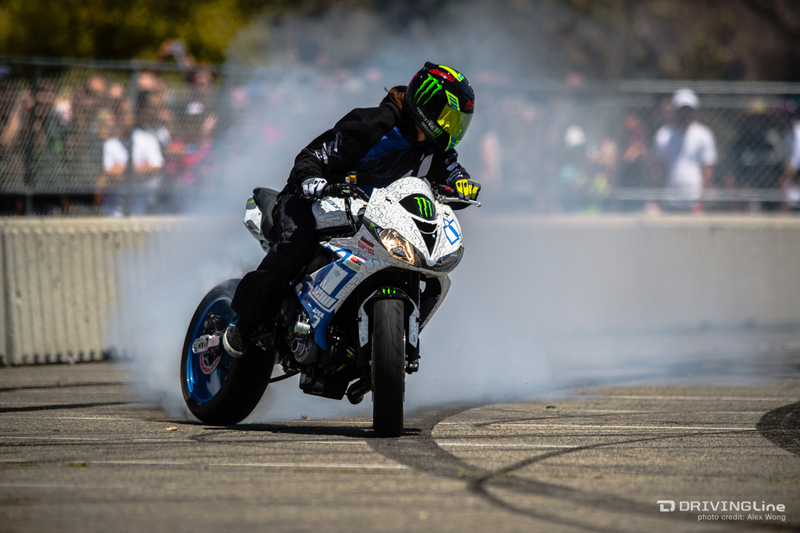 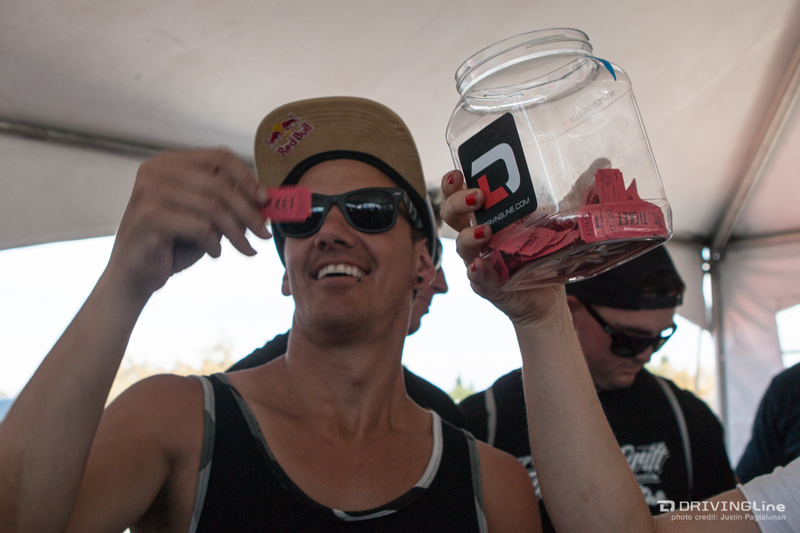 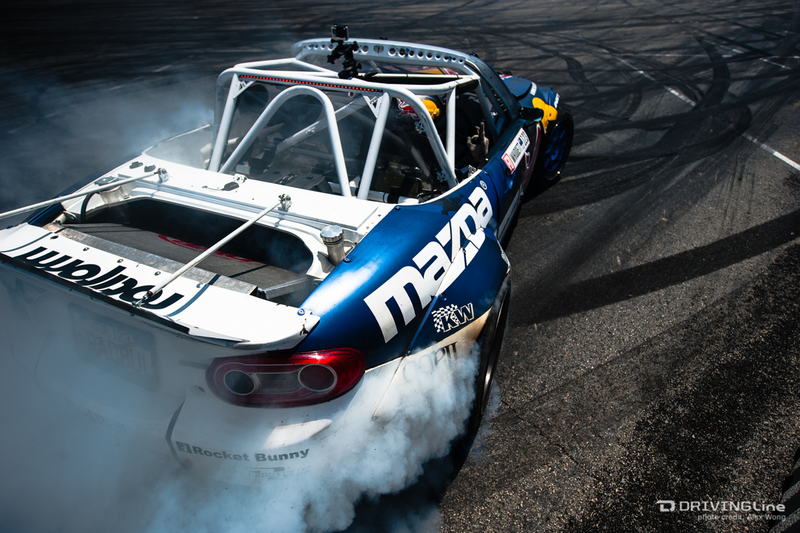 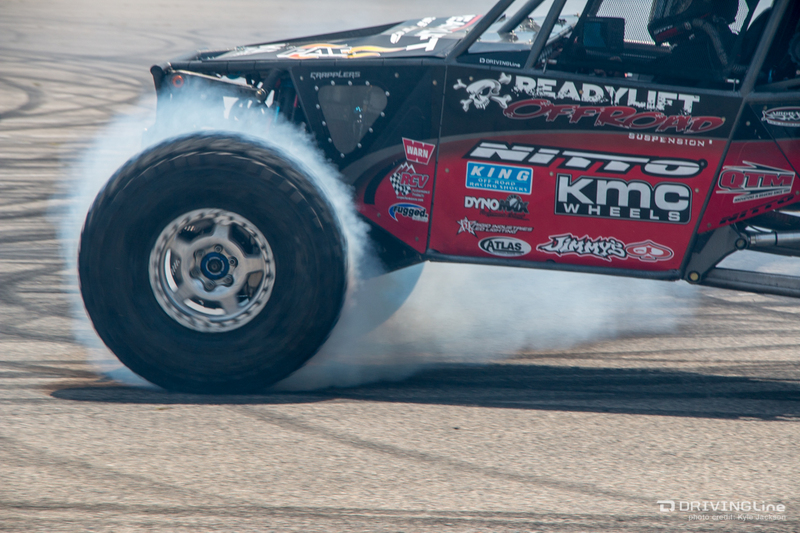 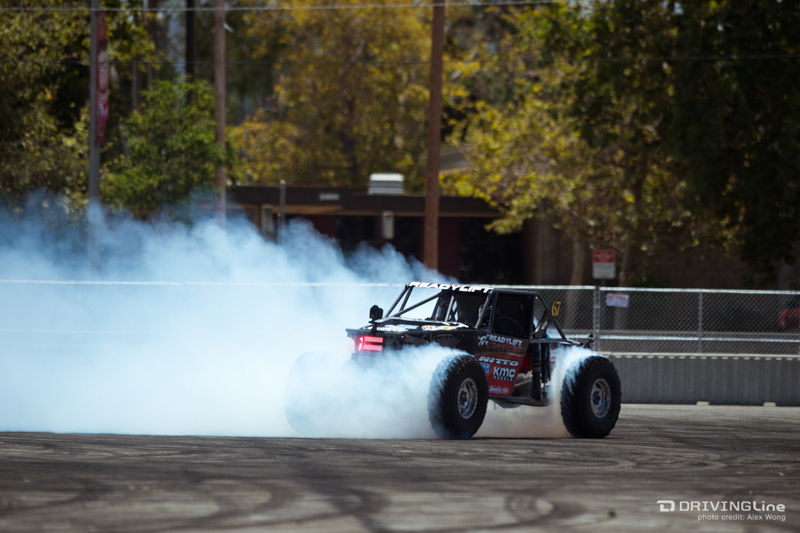 Yes, in addition to free swag we raffled off a chance for one lucky person to get a ride along with one of the NITTO Tire drivers during one of the drifting demos. 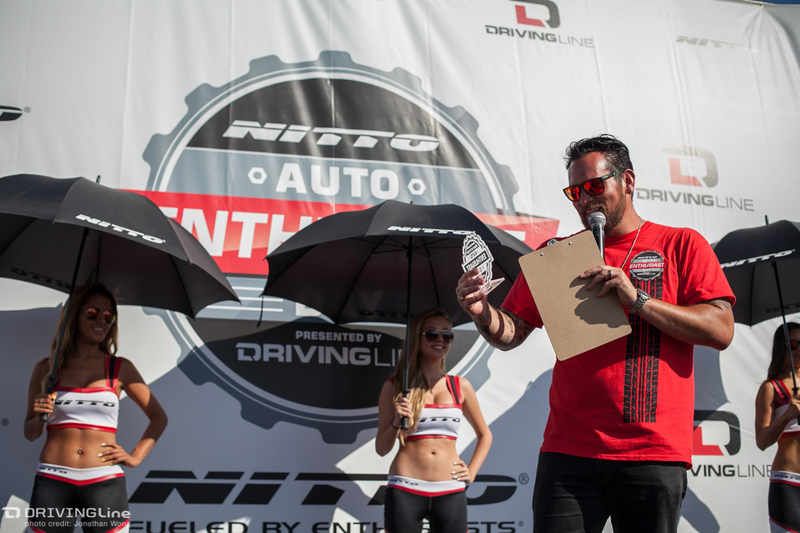 To keep the fun going we welcomed anyone to enter the tent to see what they would look like as one of NITTO Tire's 2015 Formula Drift drivers. 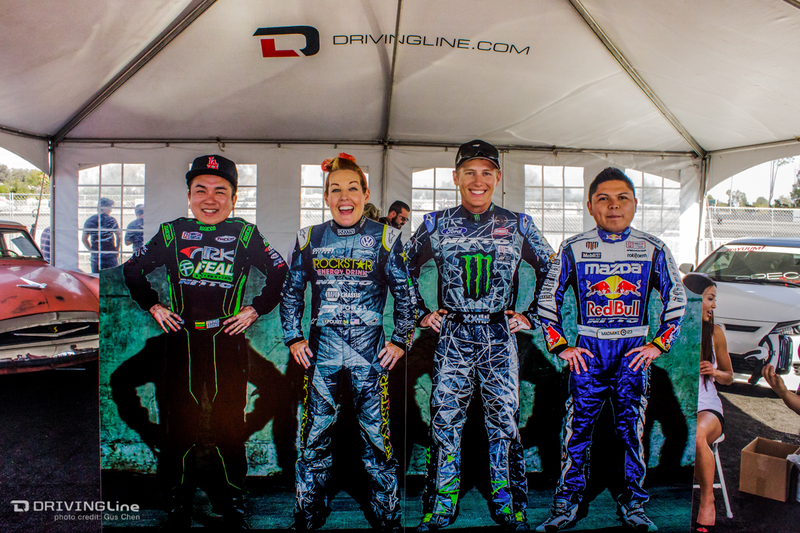 The Driving Line teams looks pretty legit if I do say so myself. 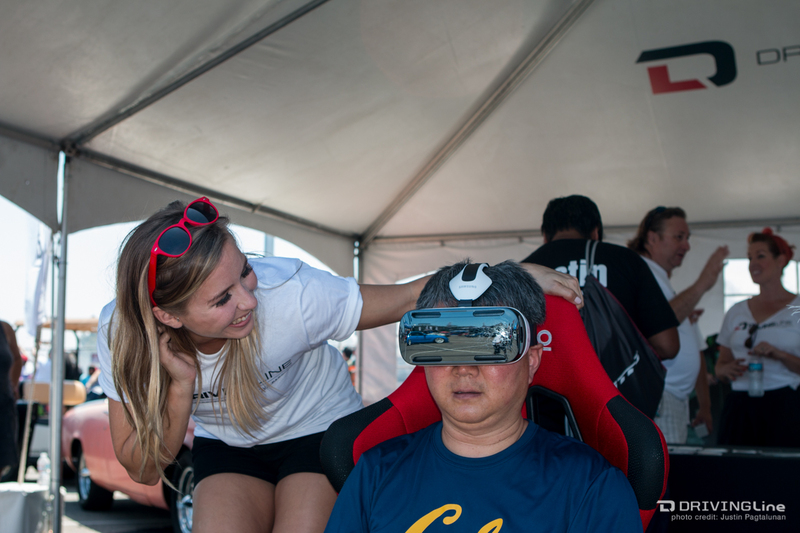 A pair of lovely Driving Line girls assisted guests to a Virtual Reality off-road video demonstration where they "rode shotgun" with Ultra4 driver, Shannon Campbell. 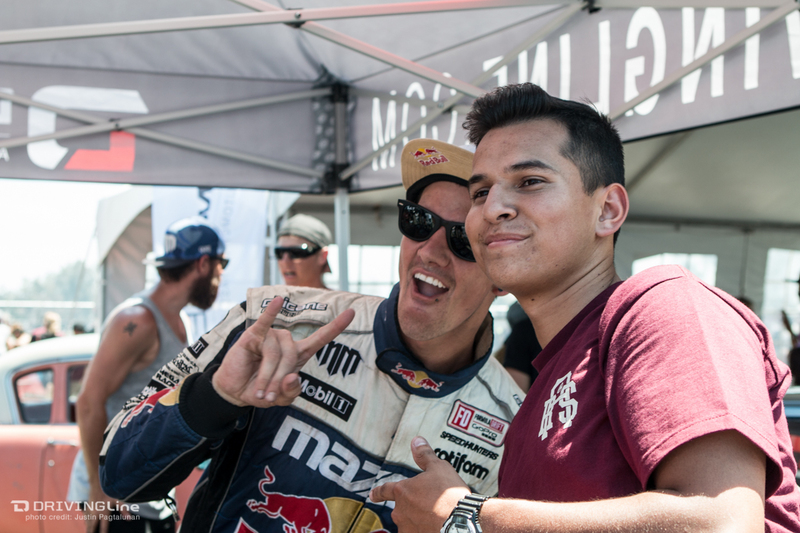 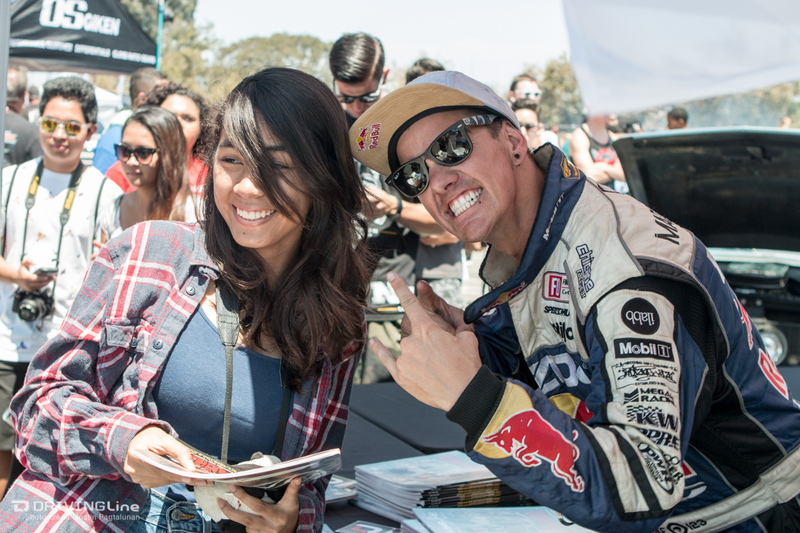 By 2:00 PM, the tent reached maximum "madness" levels when Mad Mike Whiddett paid a visit to sign autographs for Driving Line fans. 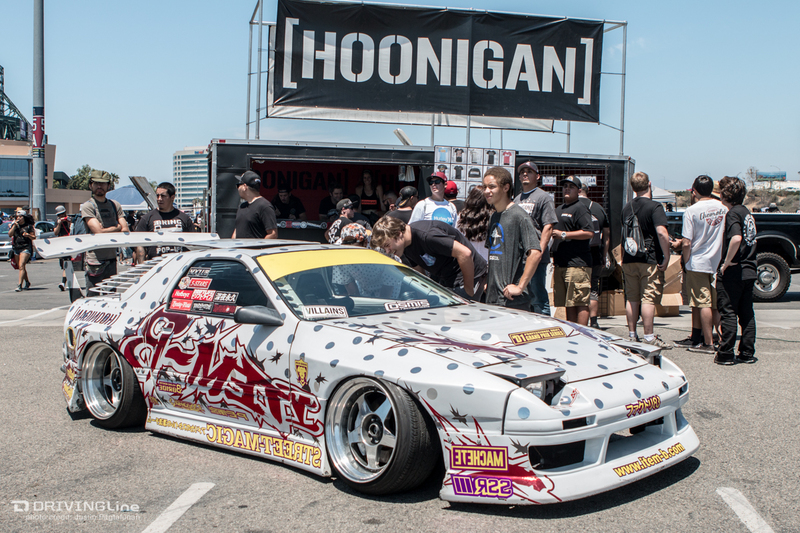 There were close to 100 vendors, each with something special to display - like the Hoonigans and their FC3S RX-7, a very popular stop all day long at AED. 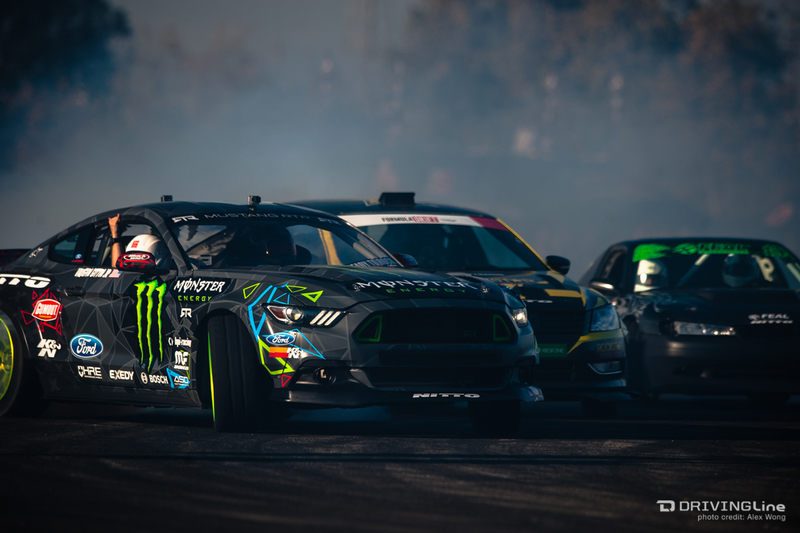 You could say AED was like a giant party and if you consider it as such, then there has to be a reason to celebrate, right? 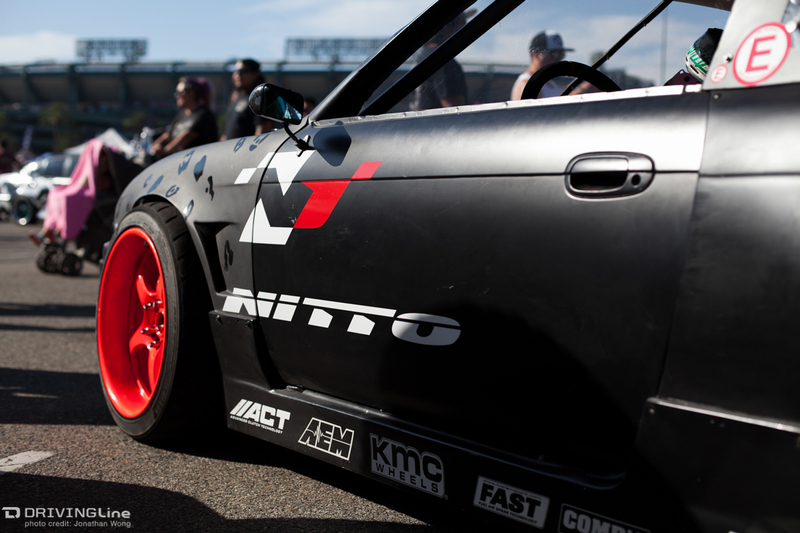 NITTO Tire did so by unveiling their latest addition to one of their most iconic tire lines, the NT555 G2. 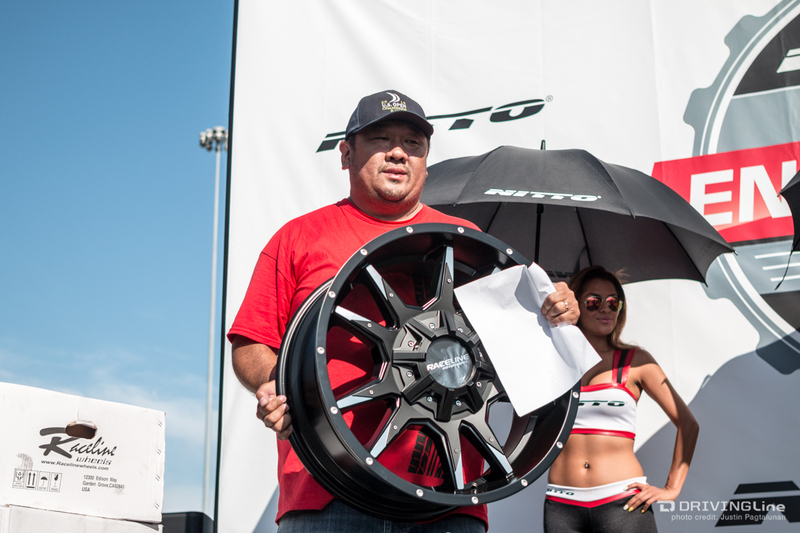 Jarod DeAnda, the voice of Formula Drift, welcomed NITTO Tire's Staff Engineer, Andy Frank, to the stage to talk about development of the NT555 G2... but the roar of the crowd was nearly muted as sounds of screeching tires took over. 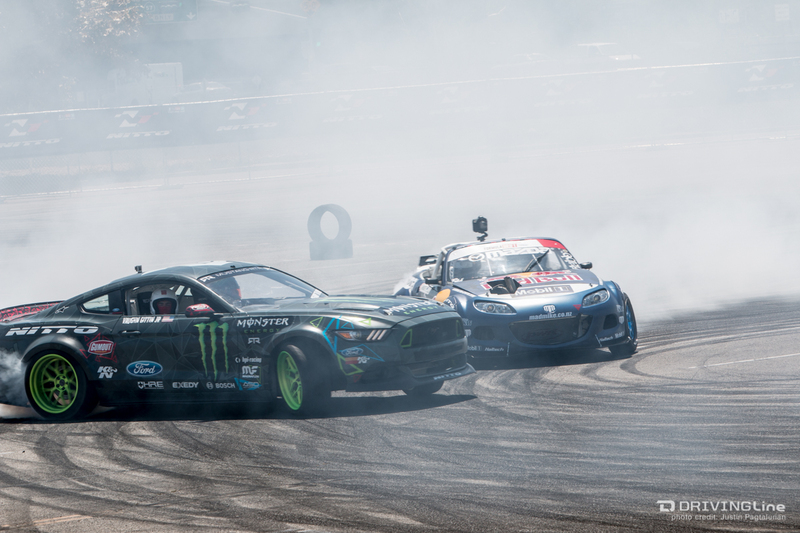 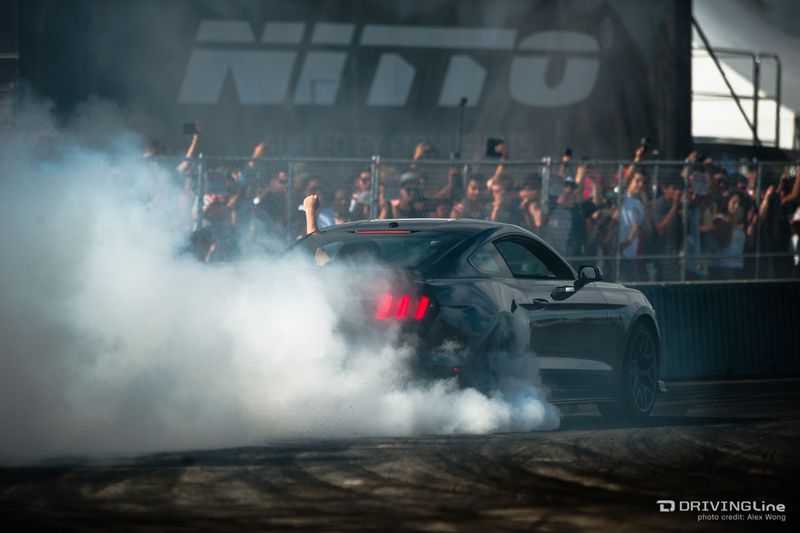 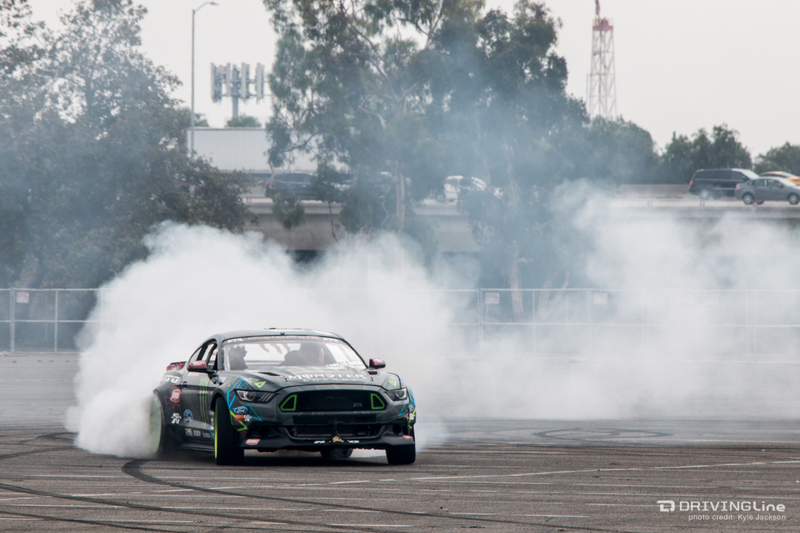 Rushing to the fences, we saw right away that Vaughn Gittin Jr. was demonstrating the new NT555 G2s on his Ford Mustang RTR by drifting around and creating a massive smoke show. 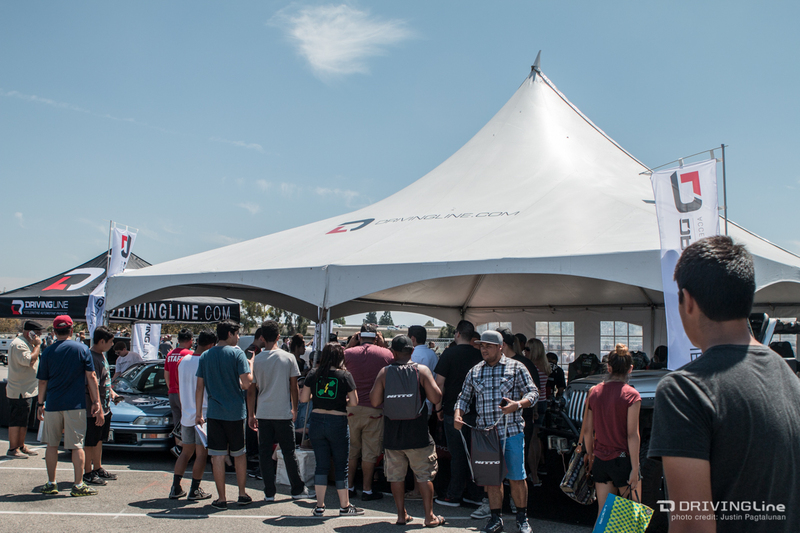 Stay with us until the end to see which vehicle was selected as the very first Driving Line Editor's Choice Award. 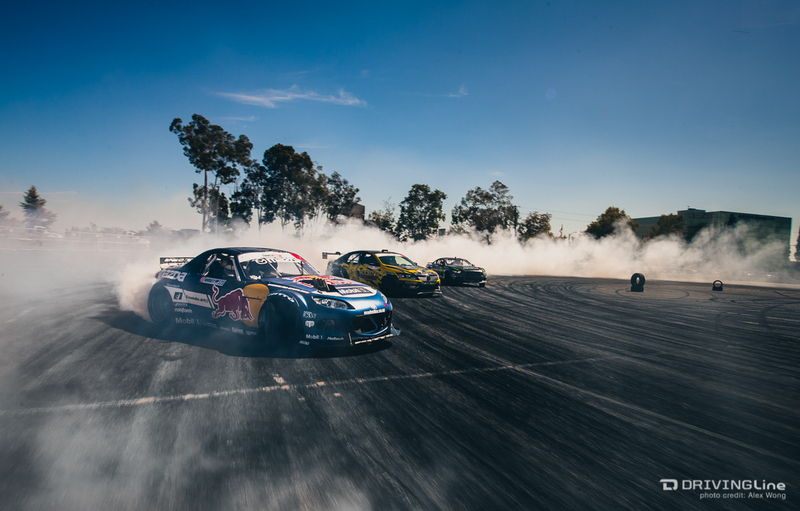 "Do You Even Drift, Bro?" 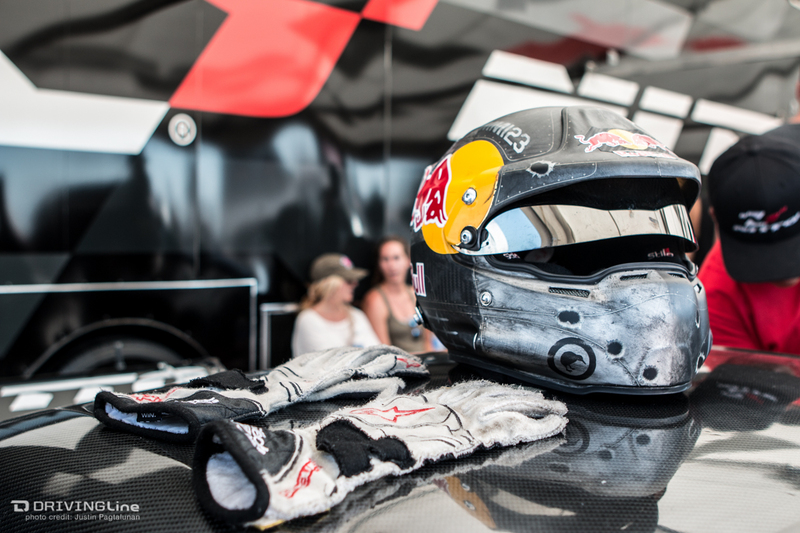 That would be a definite "yes!" 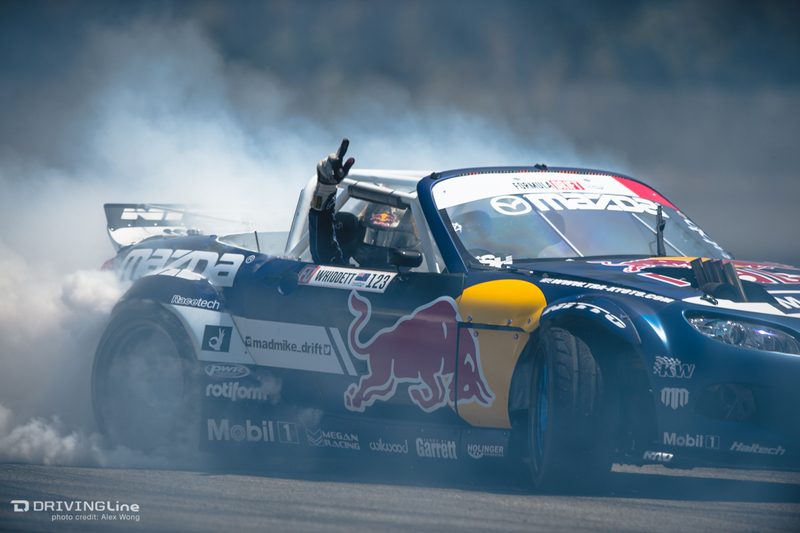 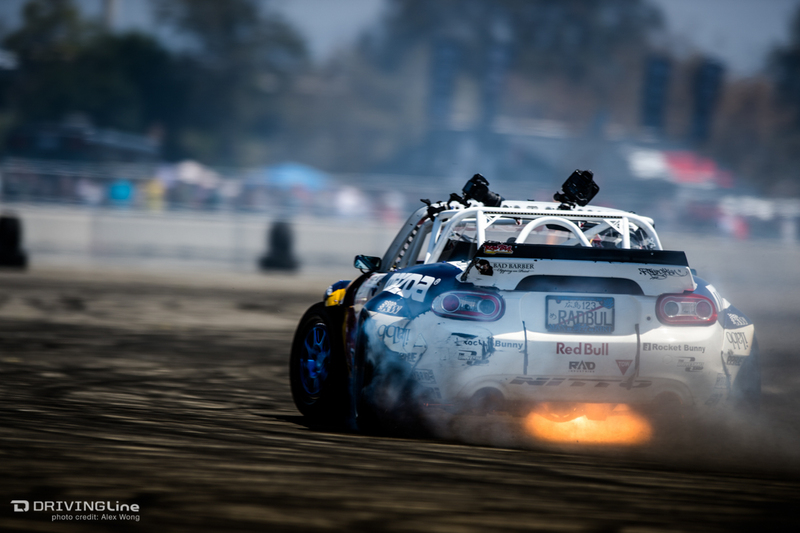 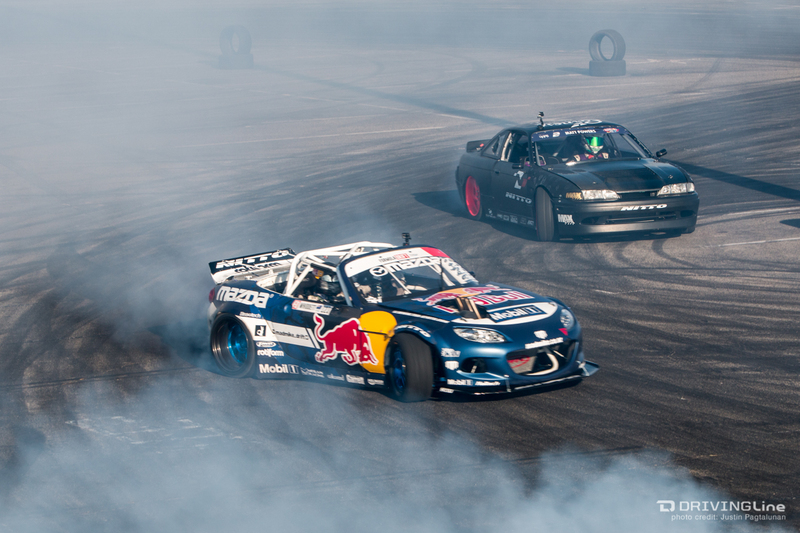 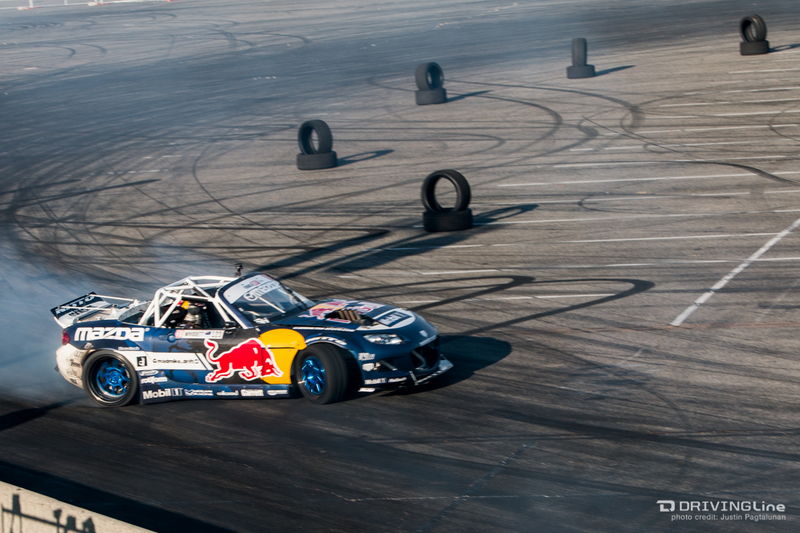 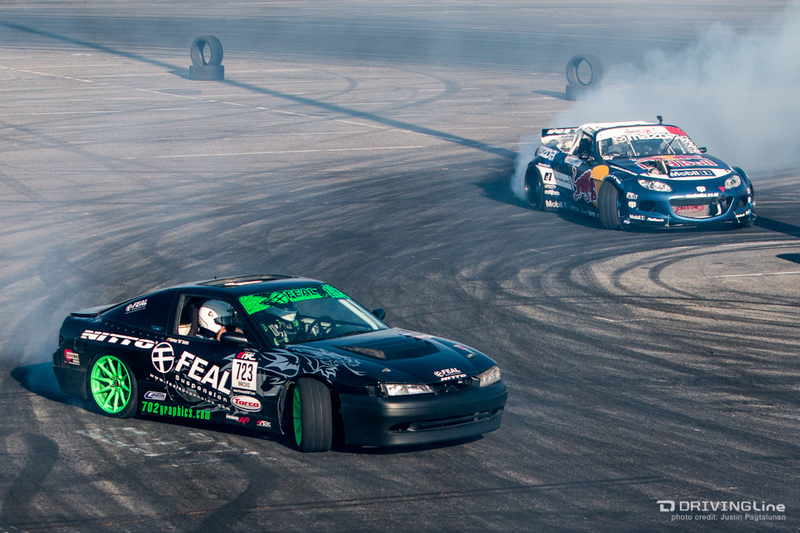 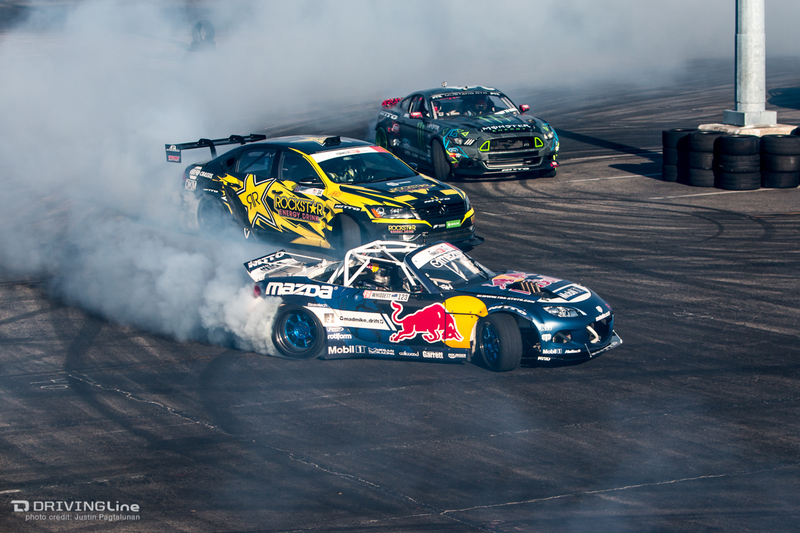 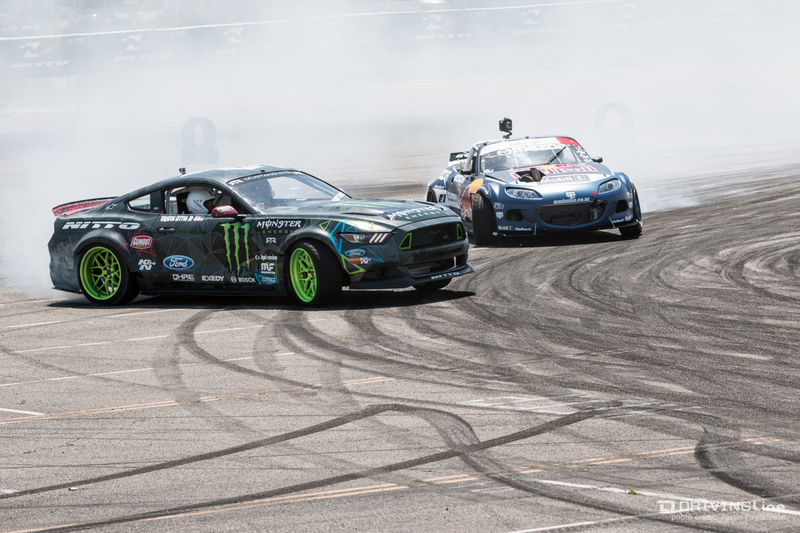 by all five NITTO Formula Drift drivers, who absolutely destroyed the stadium's parking lot with driving demonstrations at about the top of every hour. 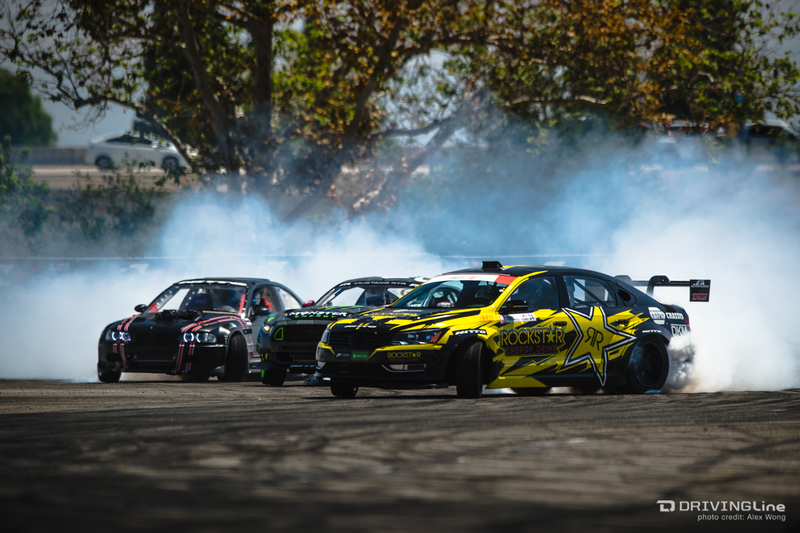 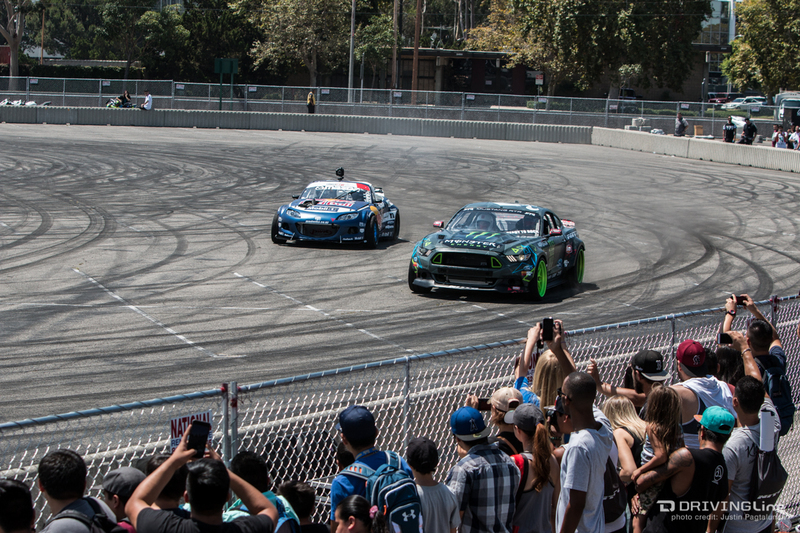 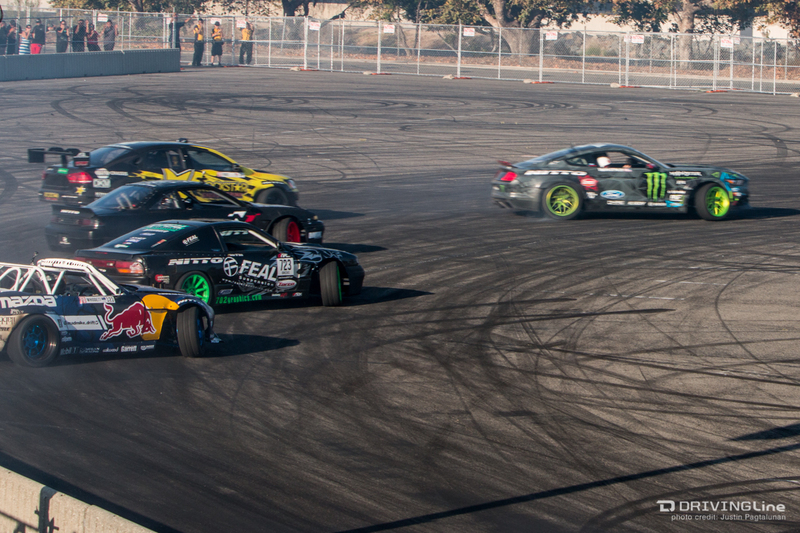 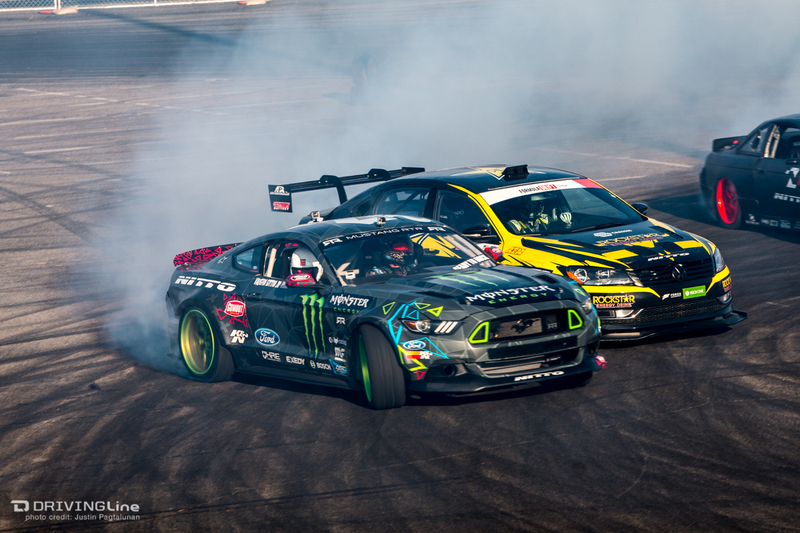 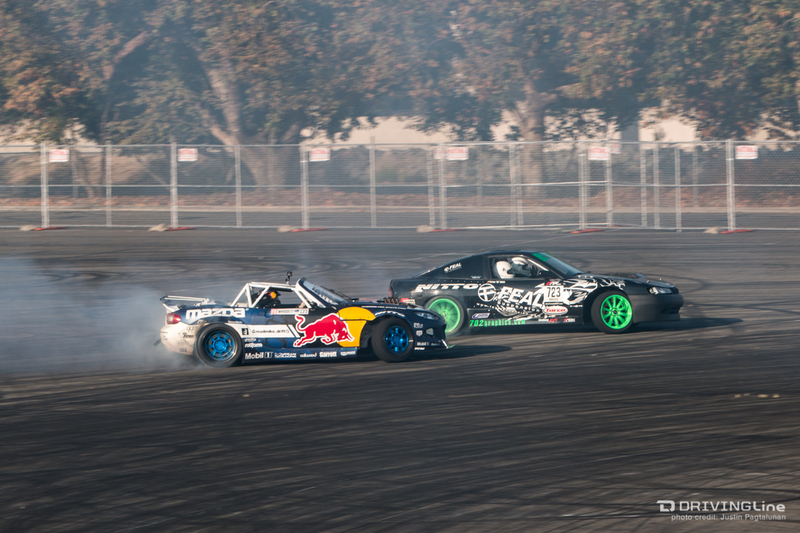 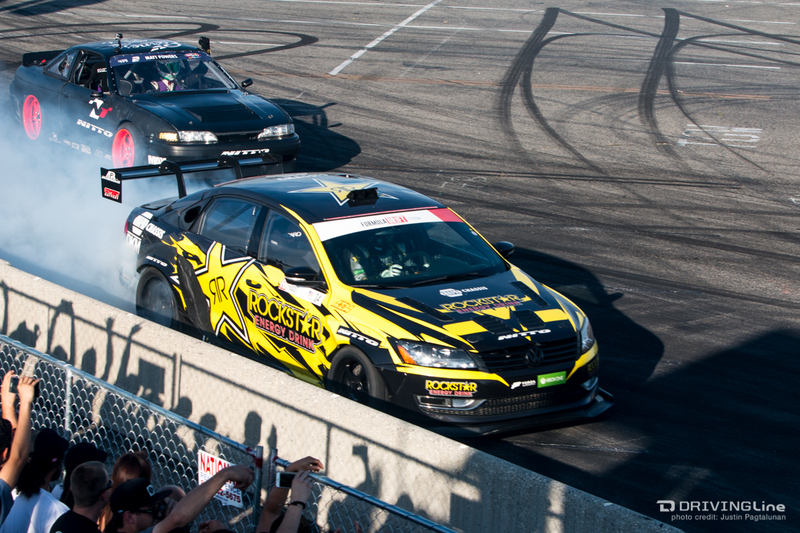 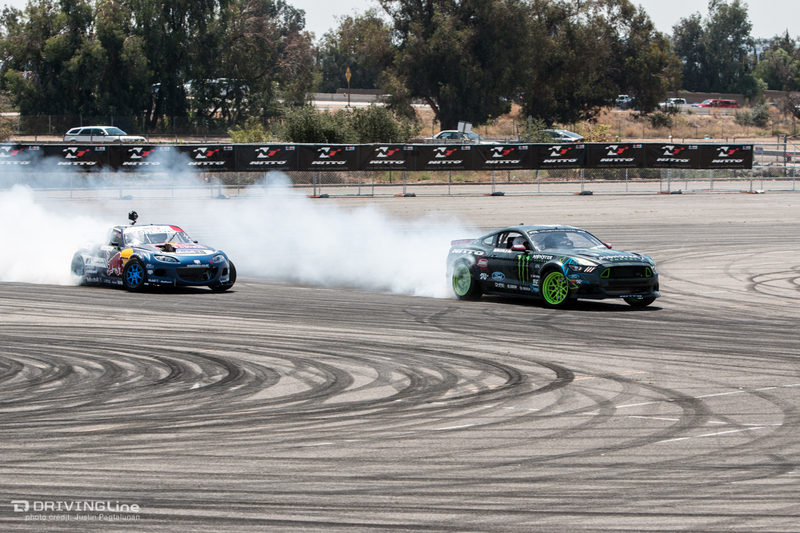 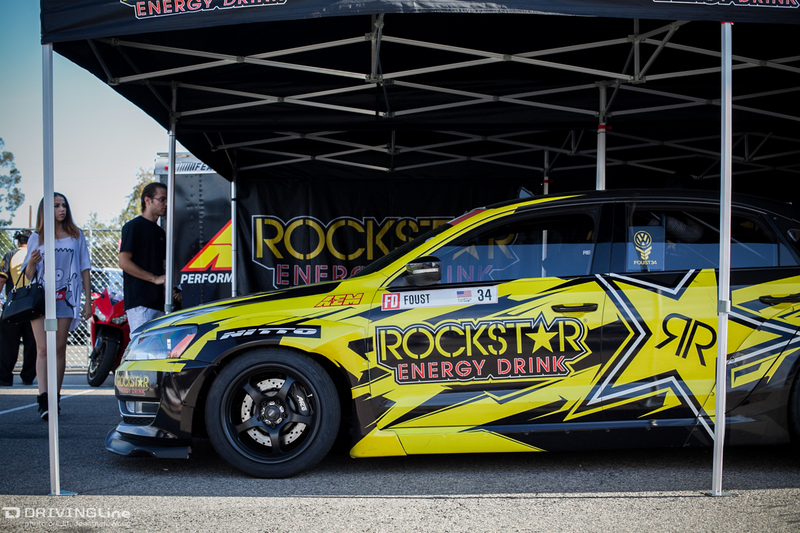 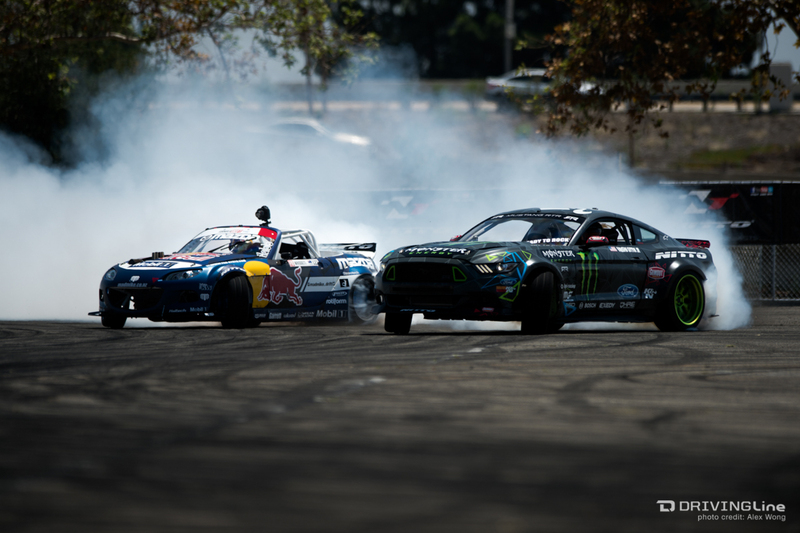 As soon as people made their way through the entrance, they took a straight line drive to the fences to catch a glimpse of Tanner Foust, Vaughn Gittin Jr., Odi Bakchis, Mad Mike Whiddett and Matt Powers doing what they do best. 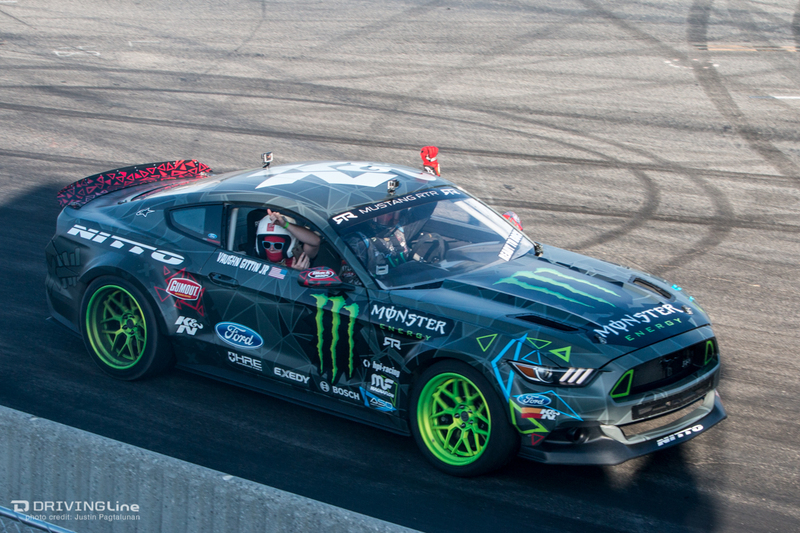 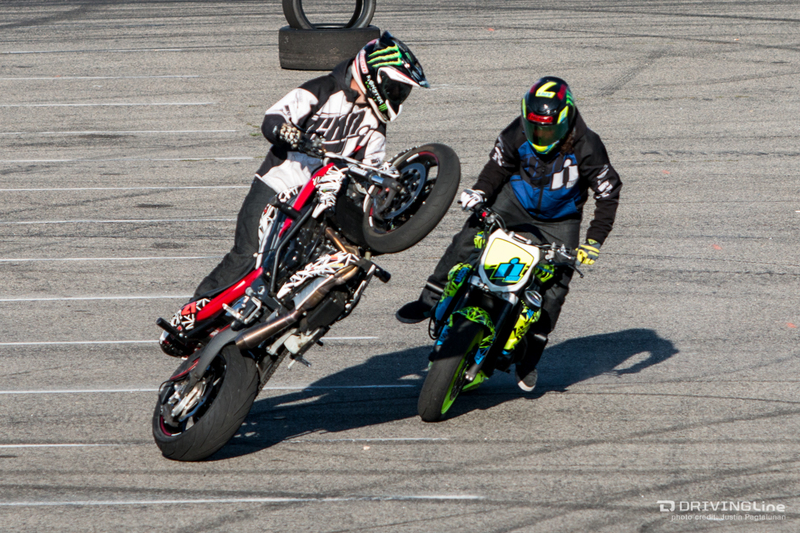 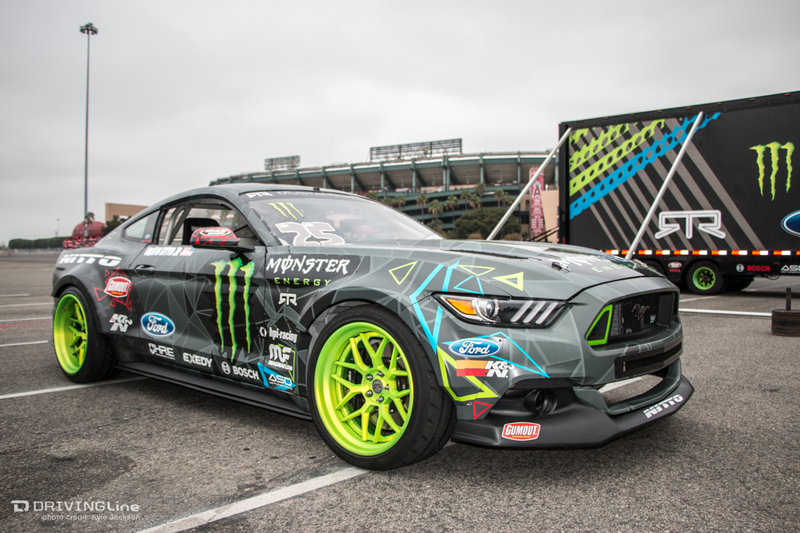 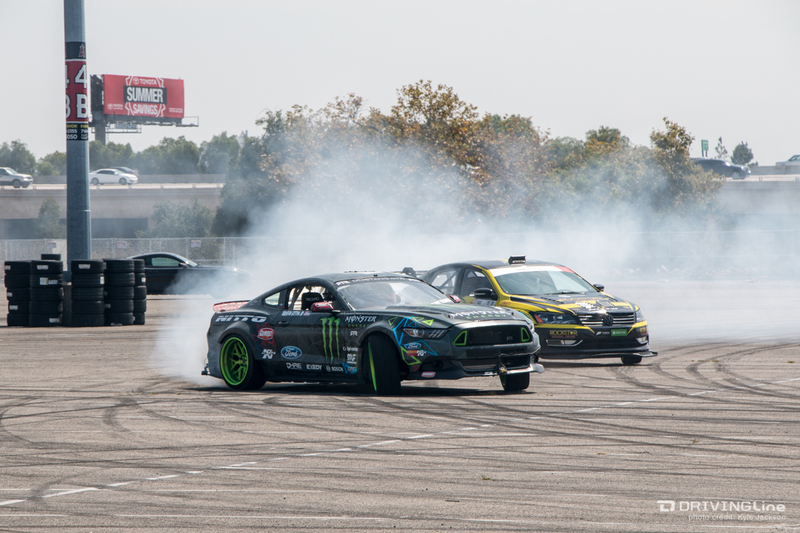 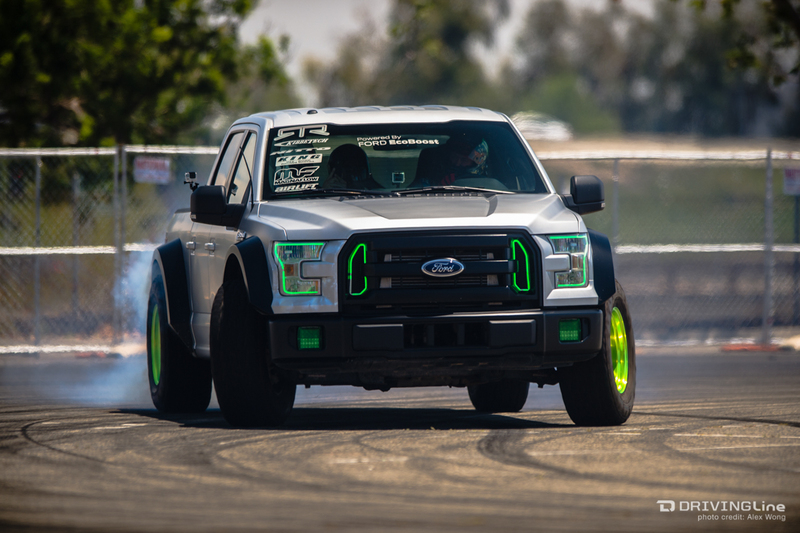 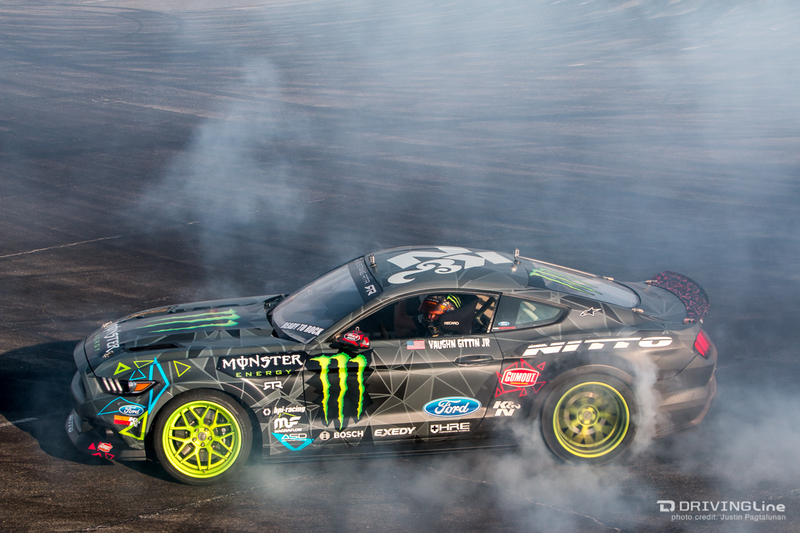 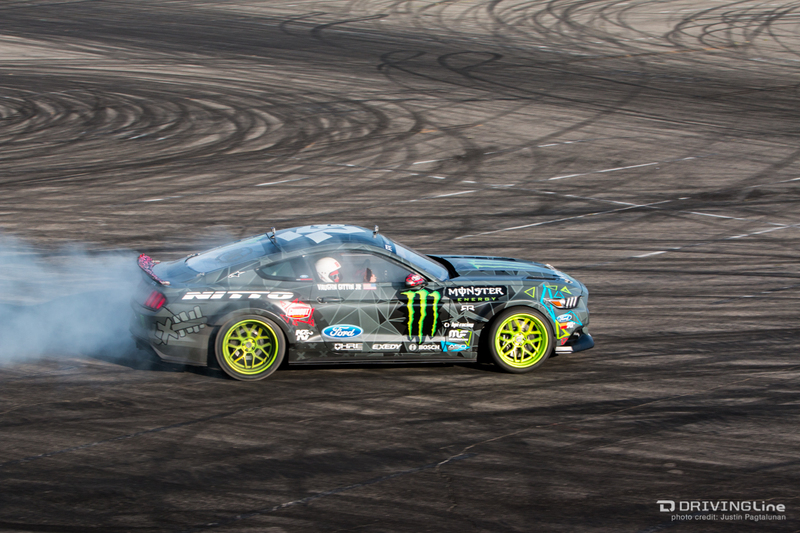 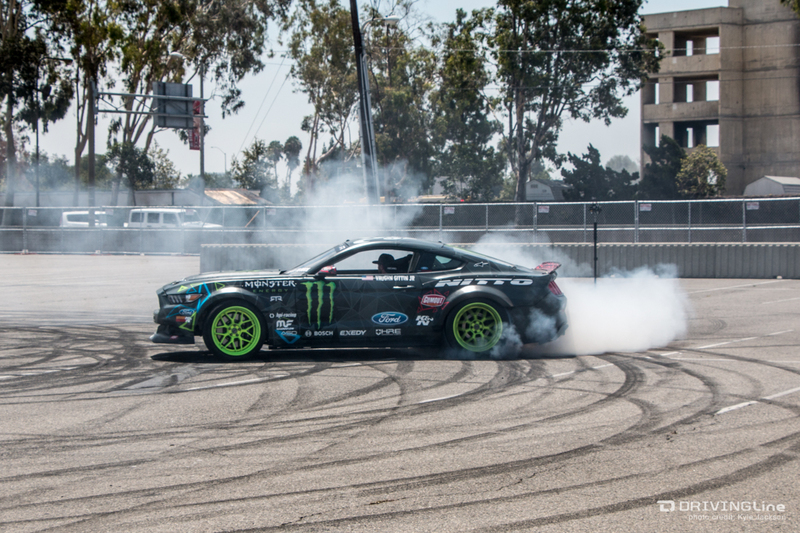 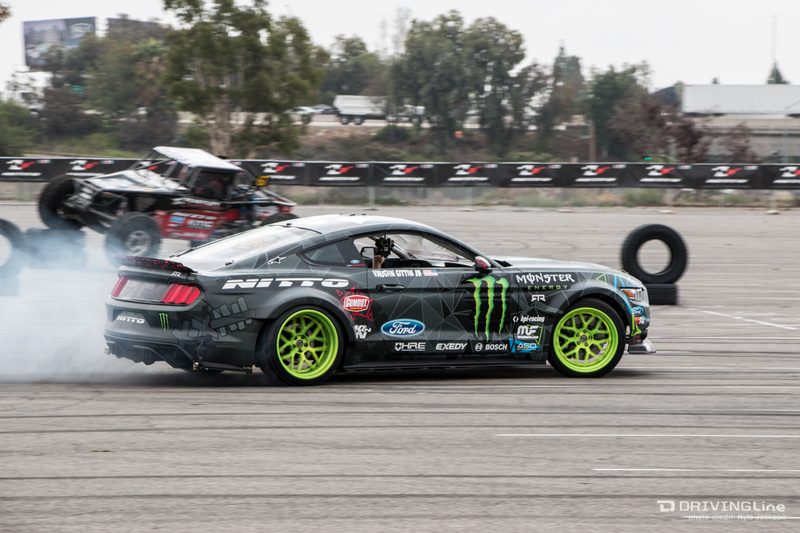 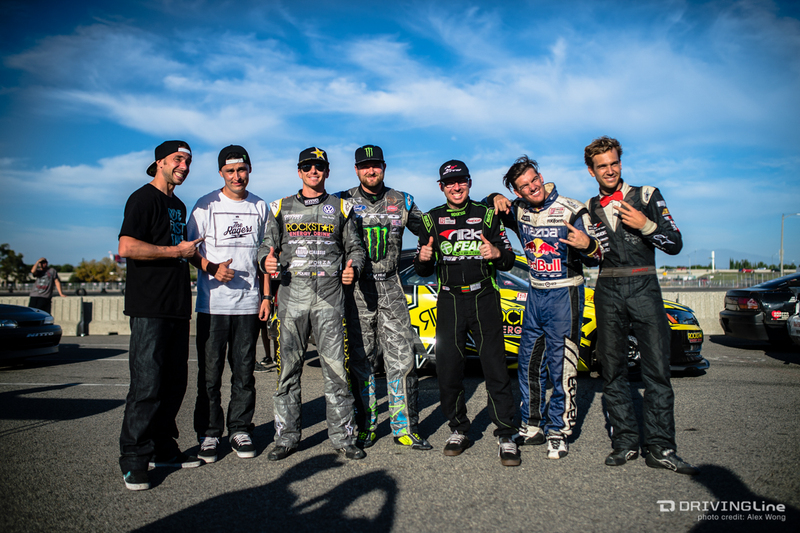 Vaughn Gittin Jr. had some extra fun drifting his Ultimate Fun Haver a.k.a. 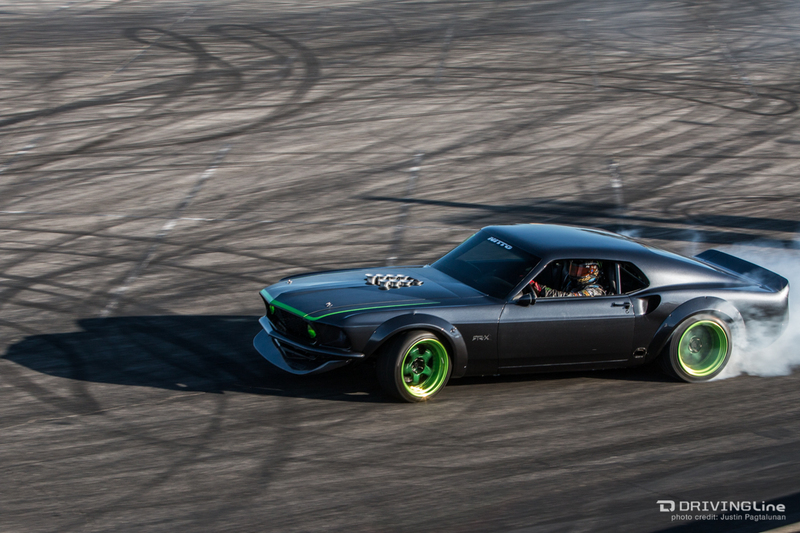 the Ford F-150 and unleashing his 1969 Mustang RTR-X. 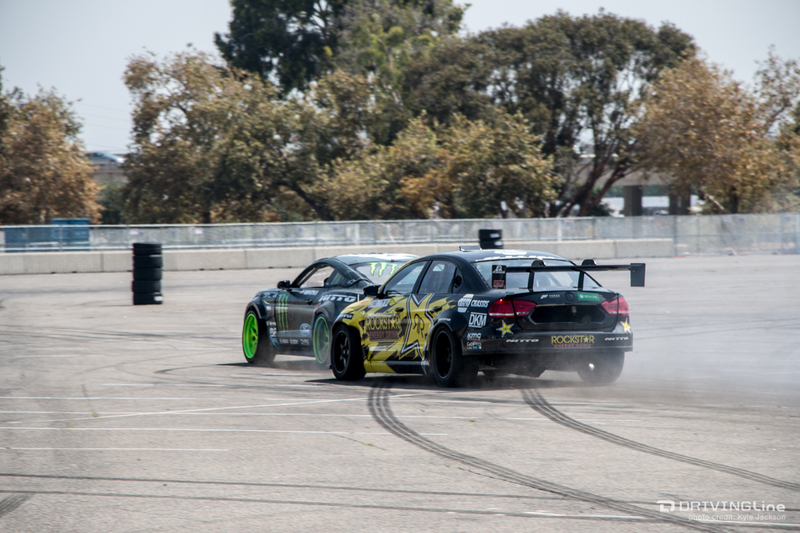 But the fun didn't stop there as Formula Drift Pro 2 star Alex Heilbrunn held his own, whipping his E46 M3 around with the big boys. 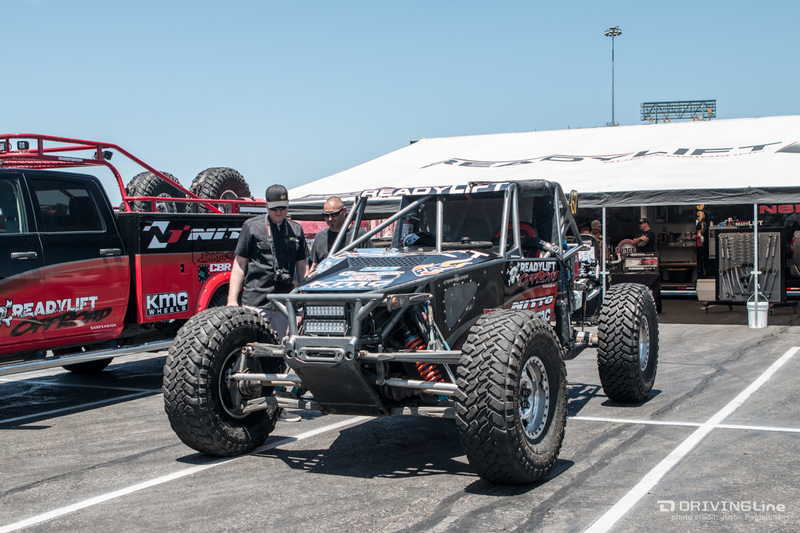 Ultra4 racers, Loren Healy and Jason Blanton didn't have any rocks to climb or hills to overpower, but they still wowed the crowd with their earth shattering buggies roaring loud enough that the angels up above could hear. 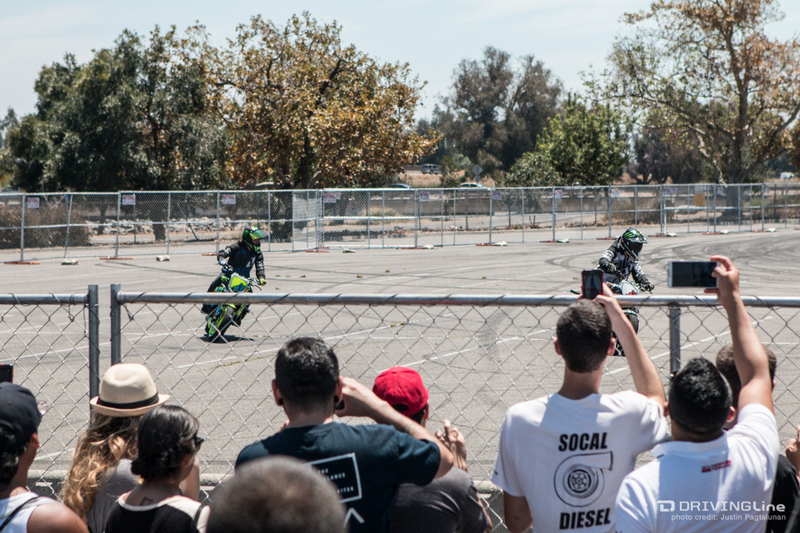 Rounding out the main attractions, motocross stars Nick Apex and Ernie "EDUB" Vigil of Empire Rules were the perfect hype-men that kept the crowd going all day long. 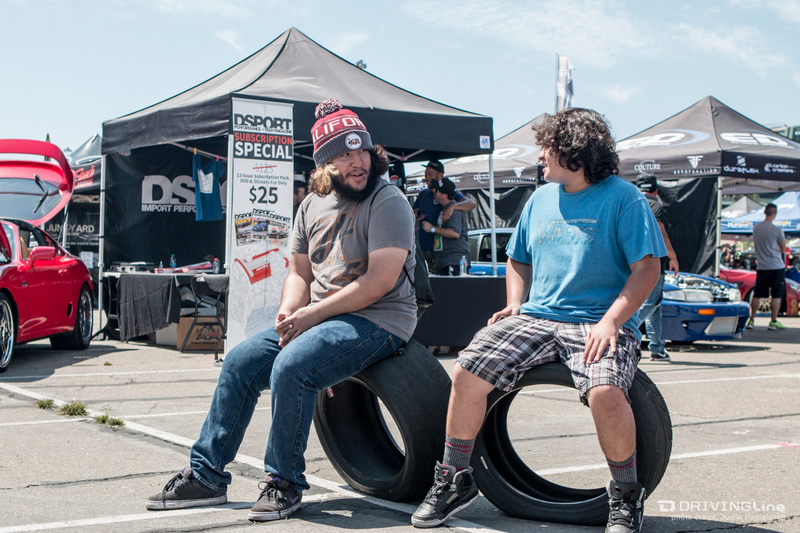 Clearly, everyone had a blast at this event, except maybe if you were one of those many slayed tires. 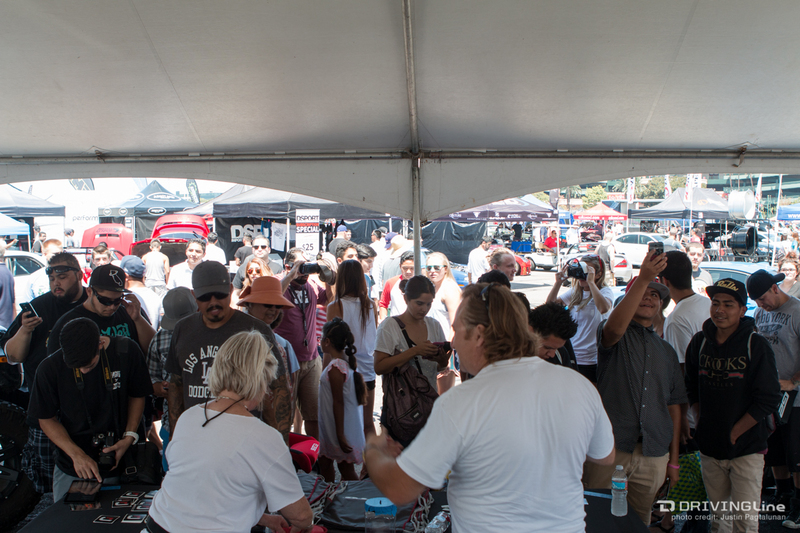 With well over 1,000 show vehicles on display, the biggest reason why Auto Enthusiast Day really rocked was because of you: true automotive enthusiasts who came in as early as 7a and didn't leave until well past 7p, bringing your personal rides/builds from all over Southern California. 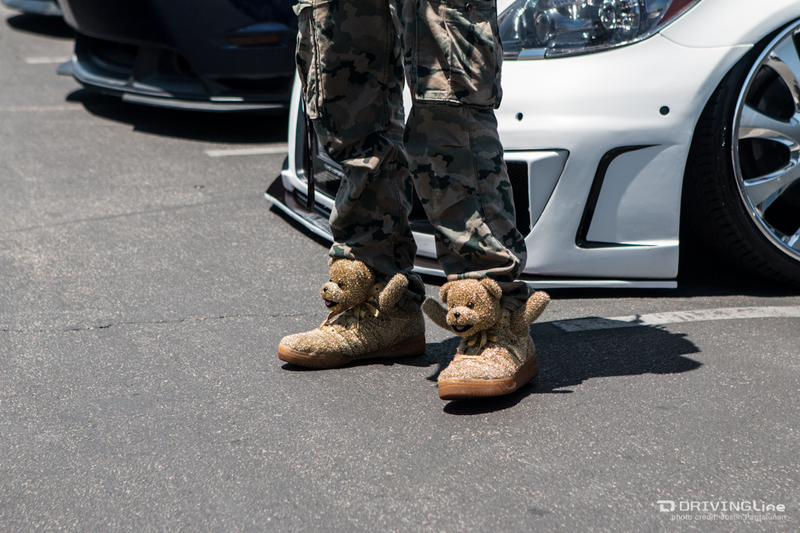 You are the real MVPs. 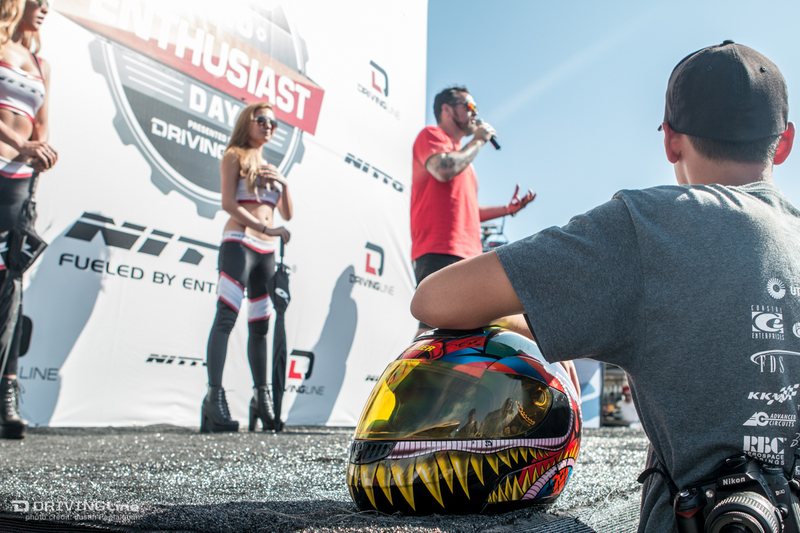 The early roll-in allowed each vehicle an opportunity to grab a clean shot with the Auto Enthusiast Day step and repeat, a little keepsake we're sure everyone will be looking for and posting up on their Instagram (don't forget to hashtag #AED2015)! 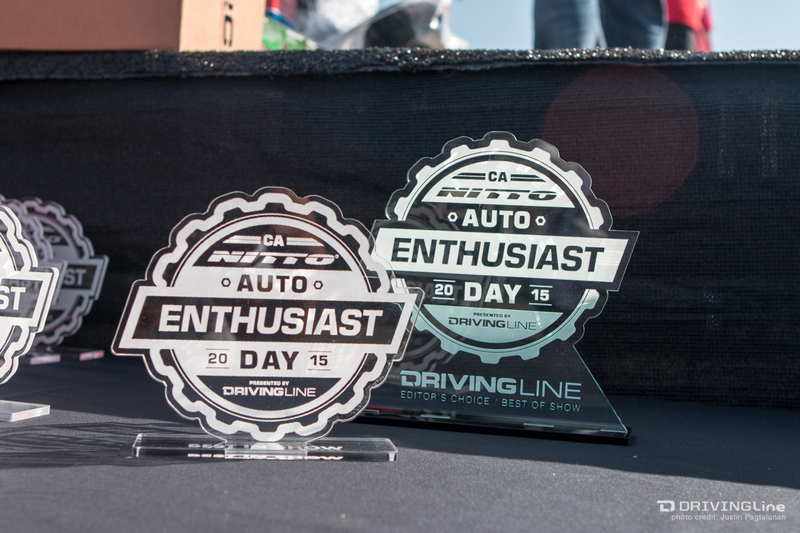 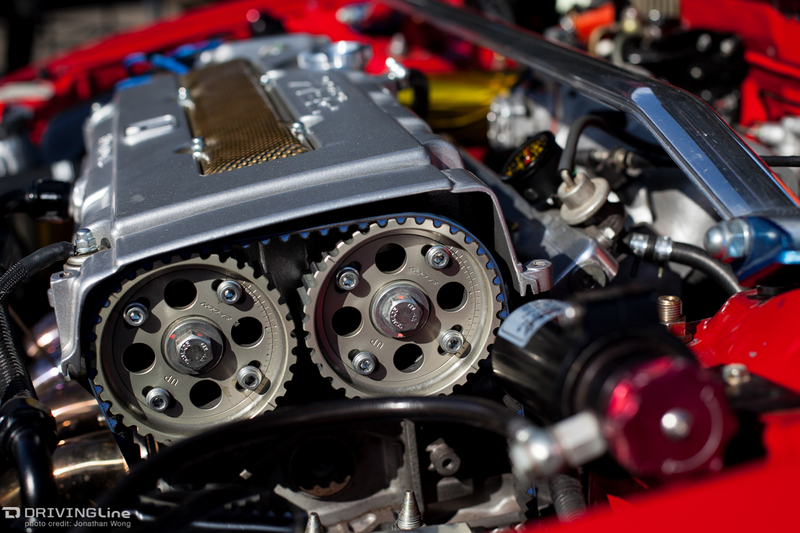 While many claim to have "something for everyone", Auto Enthusiast Day truly lives up to the saying. 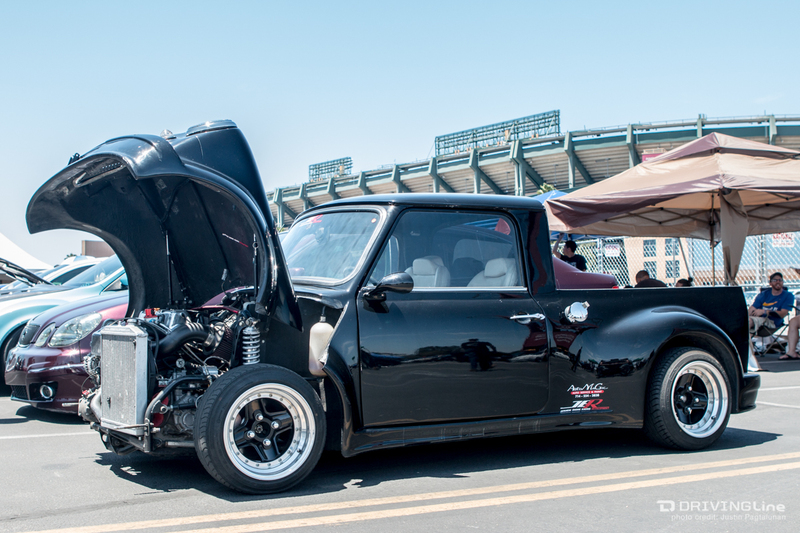 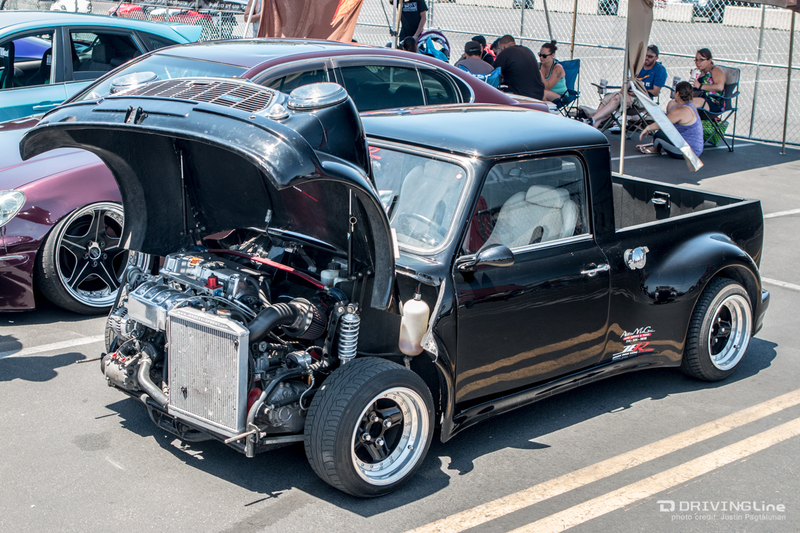 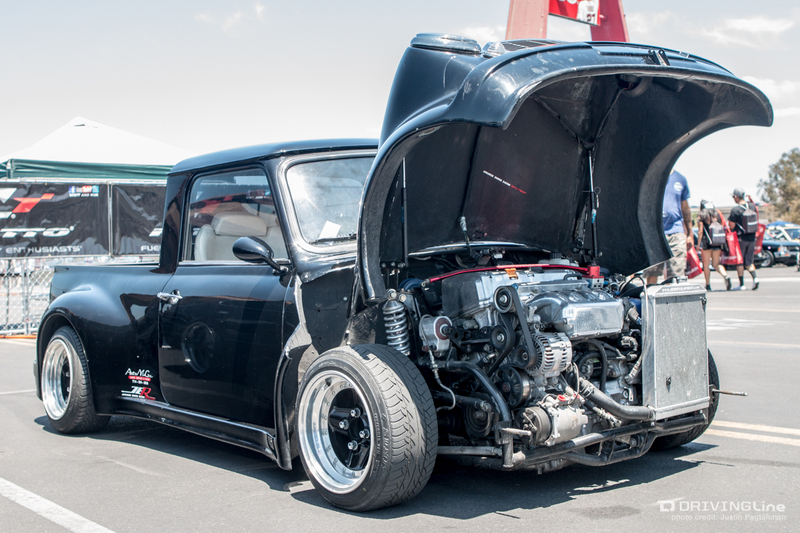 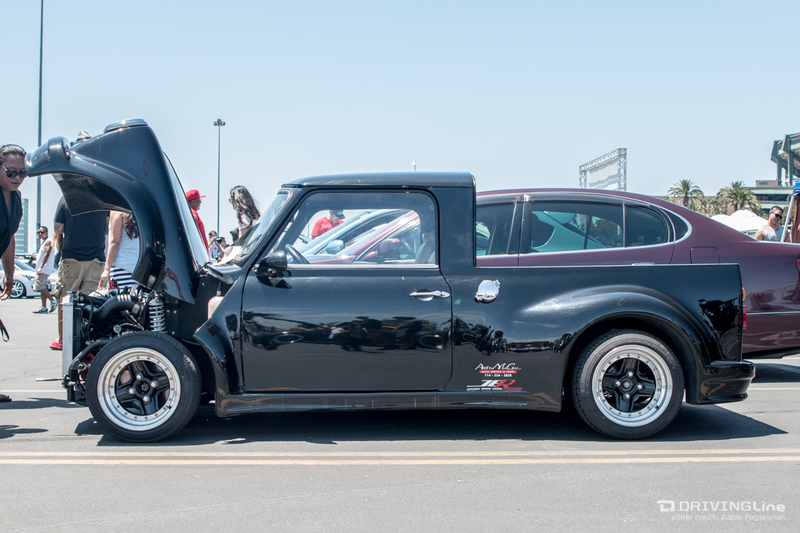 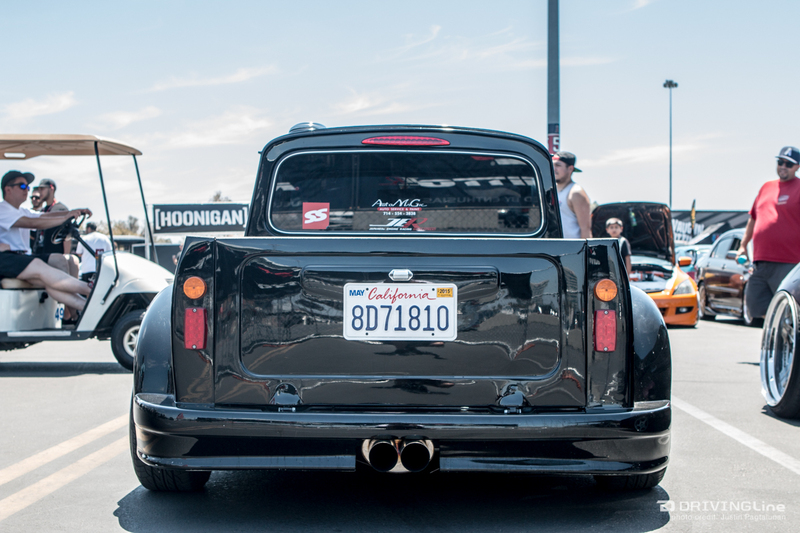 Even while cruising the car show to pick our Editor's Choice winner, we had to do a few laps to be sure, and eventually settled on Linh Bui's '67 Honda K-swapped Mini Morris Truck, which is simply a mashup of so many different cool bits in a single platform. 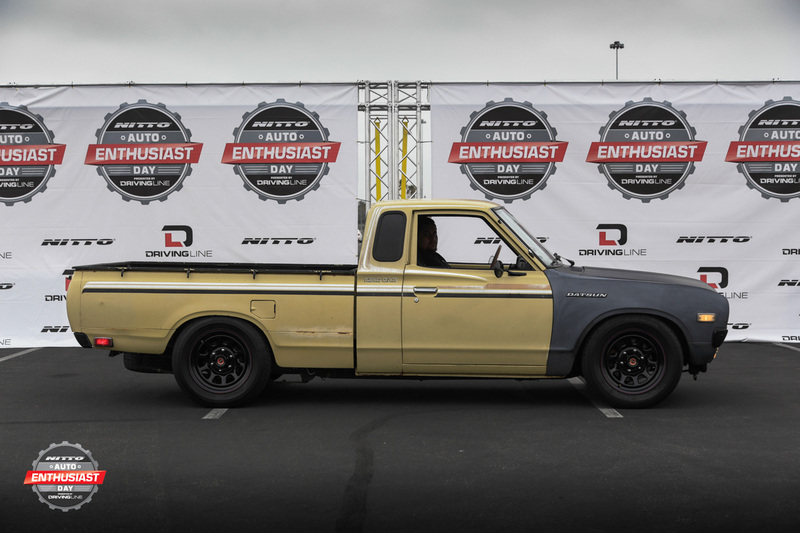 Since we're lovers of all things cool and automotive, we felt it was fitting as the first ever recipient of the Driving Line Editor's Choice award. 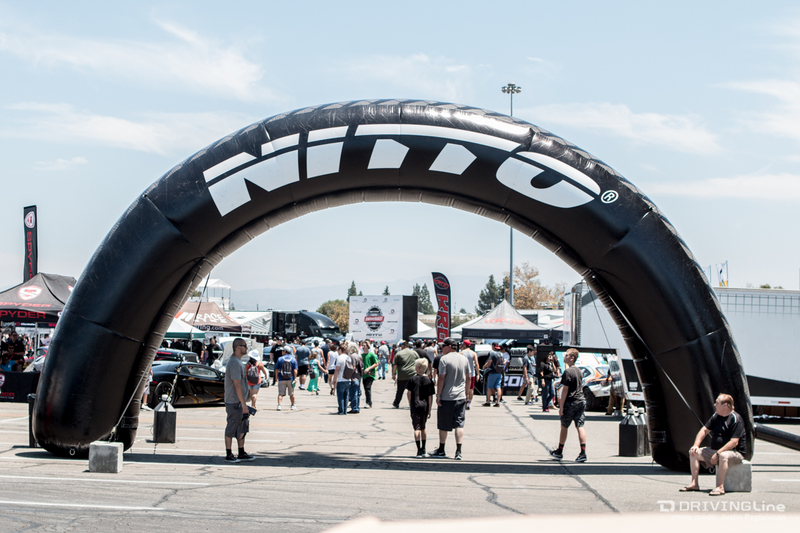 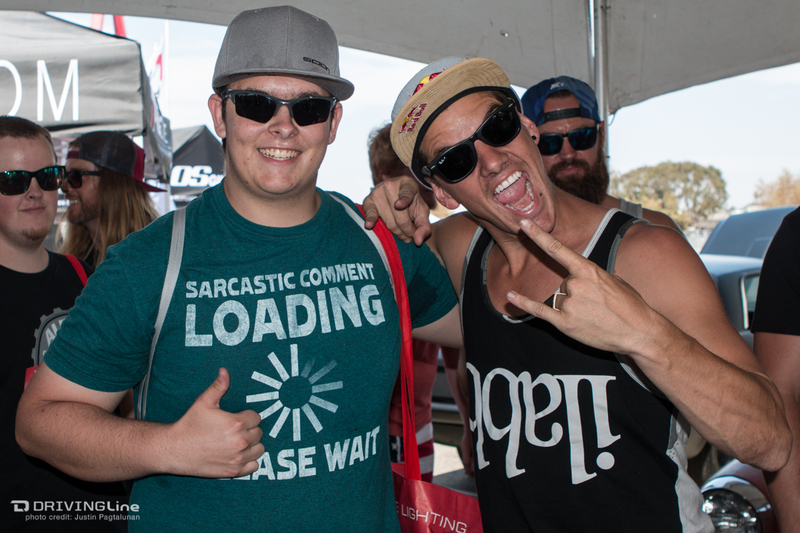 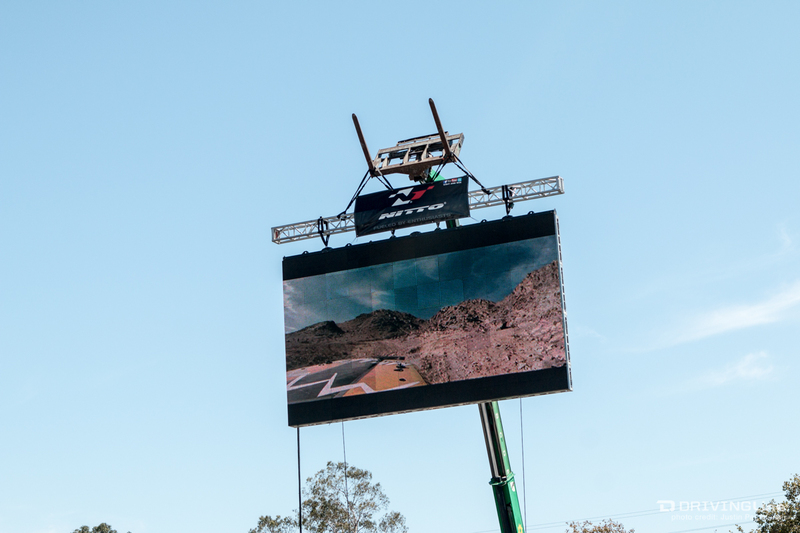 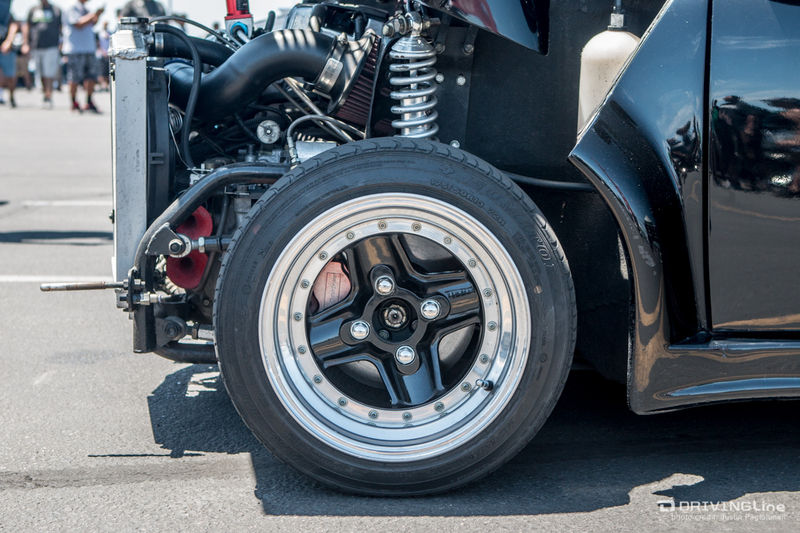 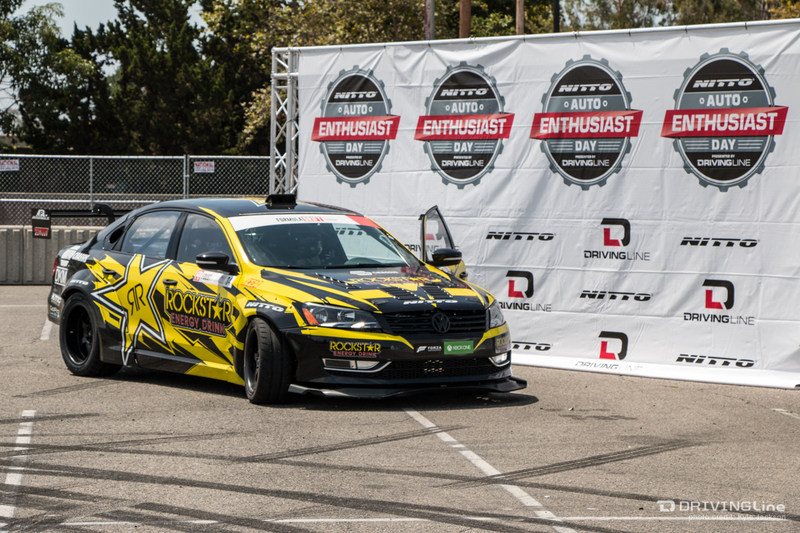 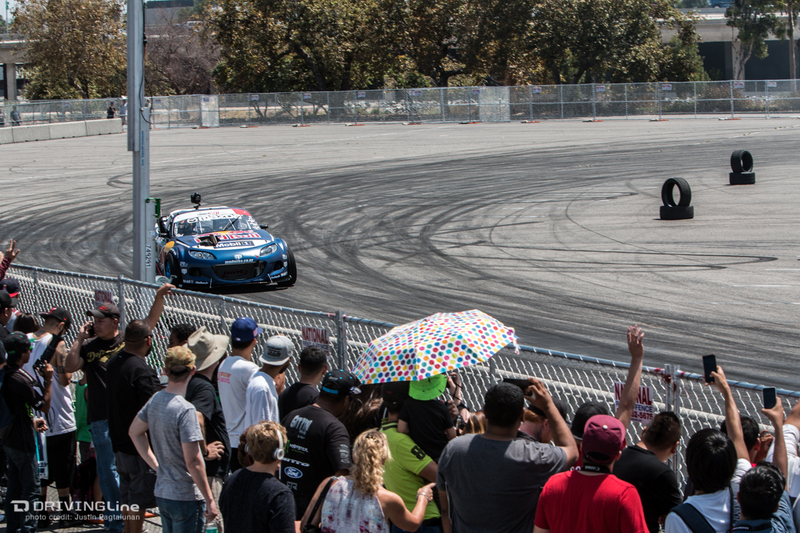 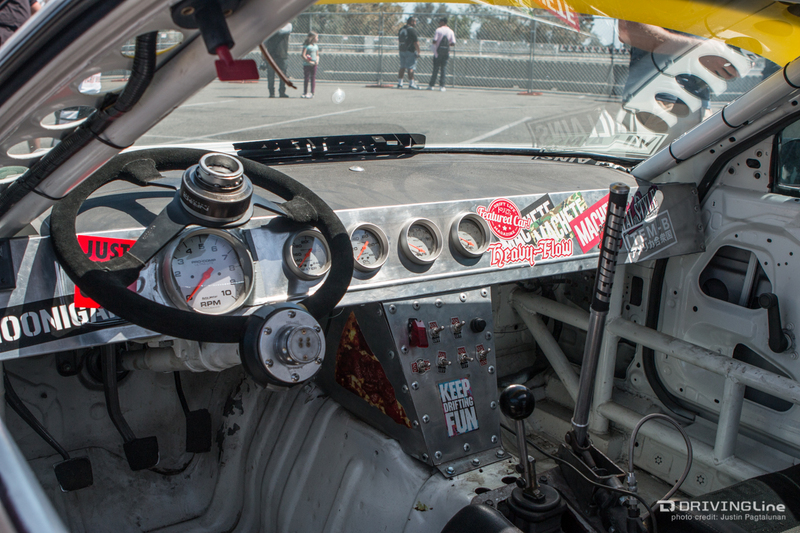 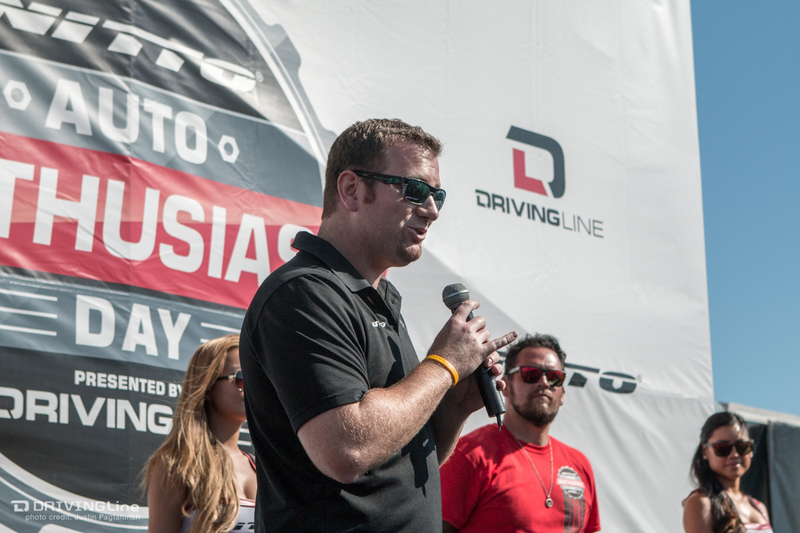 The way we see it, the future of NITTO Tire's Auto Enthusiast Day presented by Driving Line is limitless. 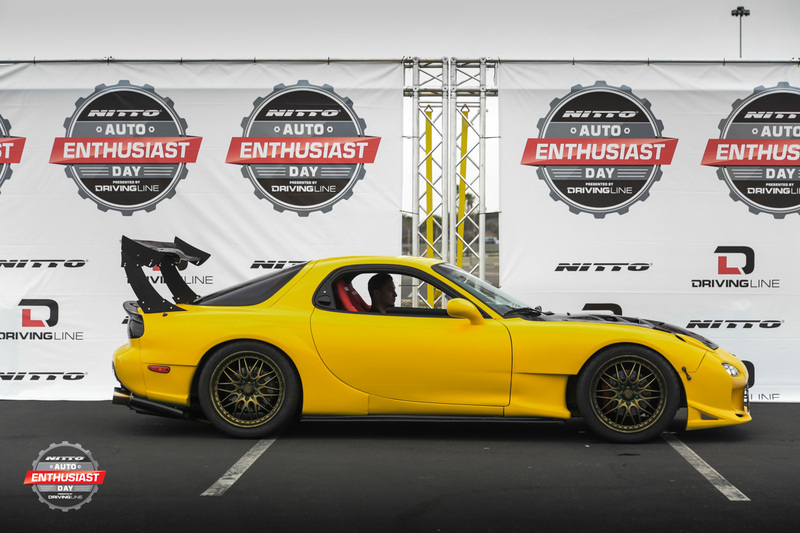 Who knows, maybe one day Auto Enthusiast Day will become Auto Enthusiast Days or even Auto Enthusiast Weeks. 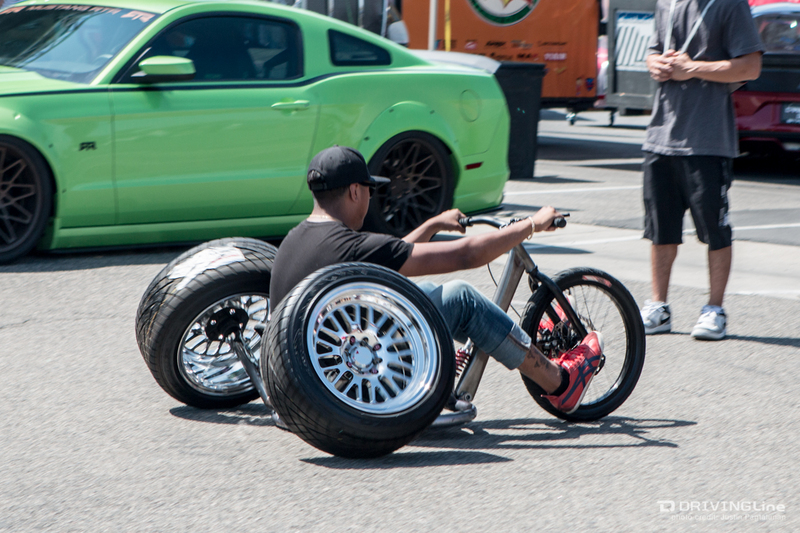 The real question is, would you be down for that?